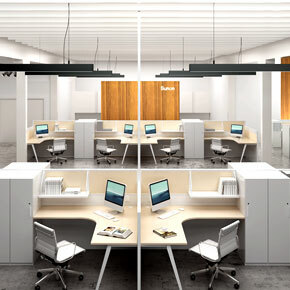 We have a state of the art infrastructure spread over 70,000 Sqft in Noida. 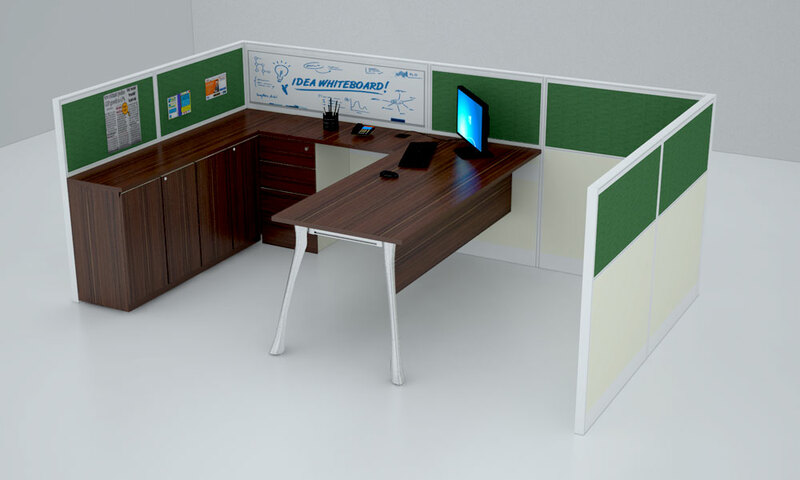 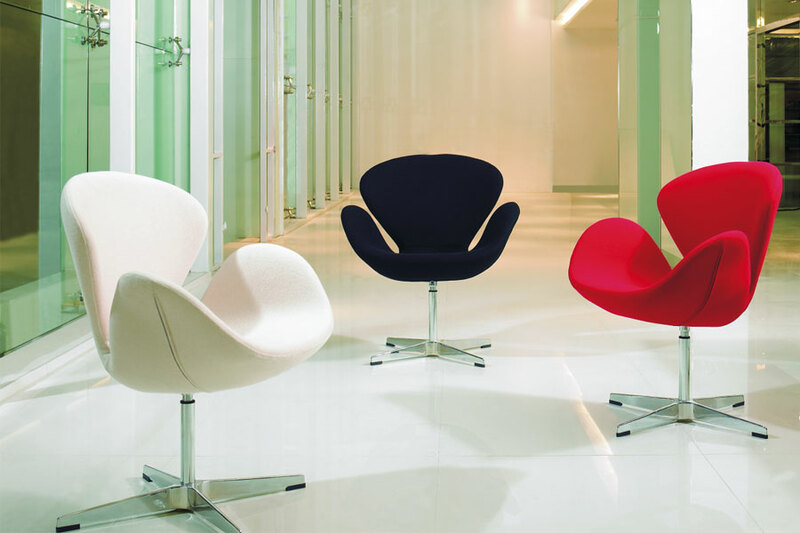 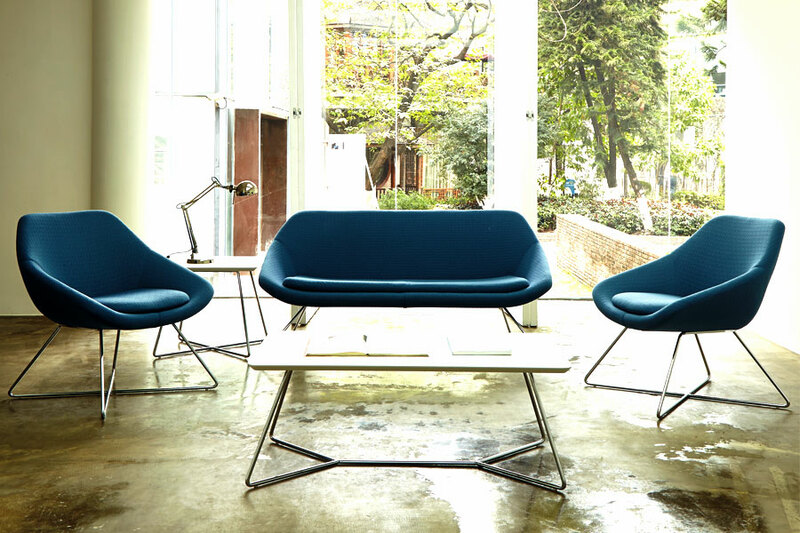 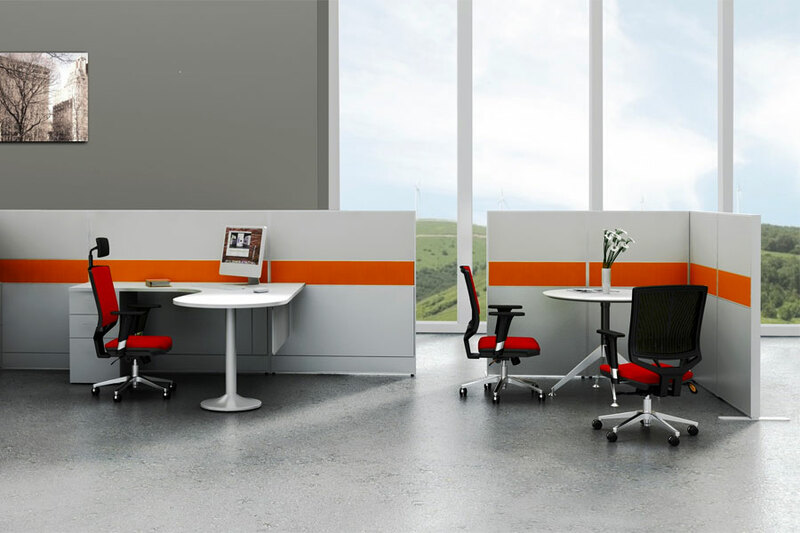 We are passionate about bringing the latest office furniture designs to the Indian market and are poised to take a lead in our pursuit to become a global player. 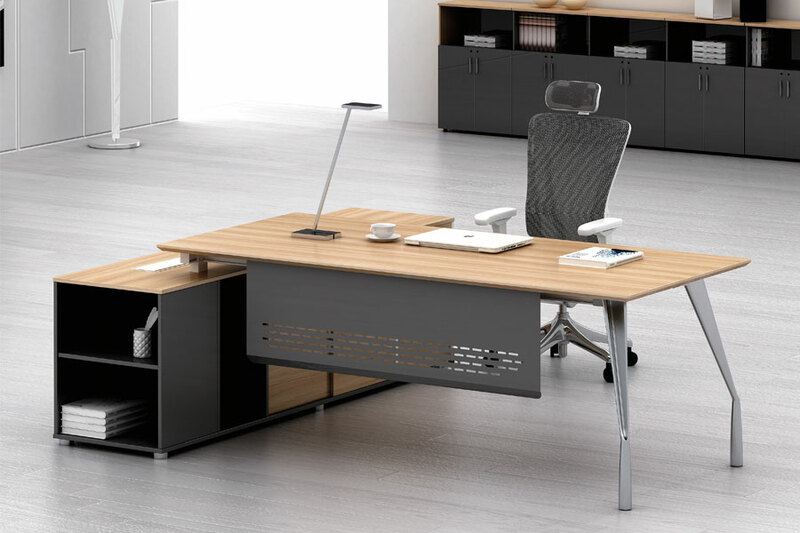 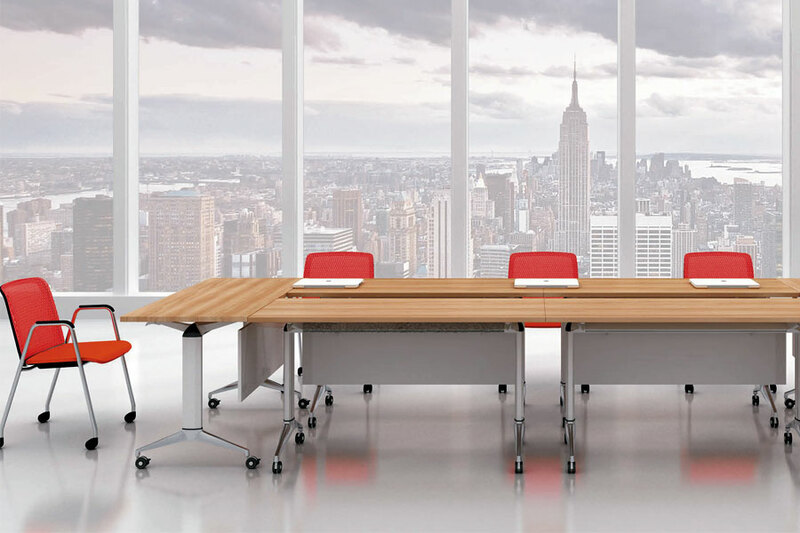 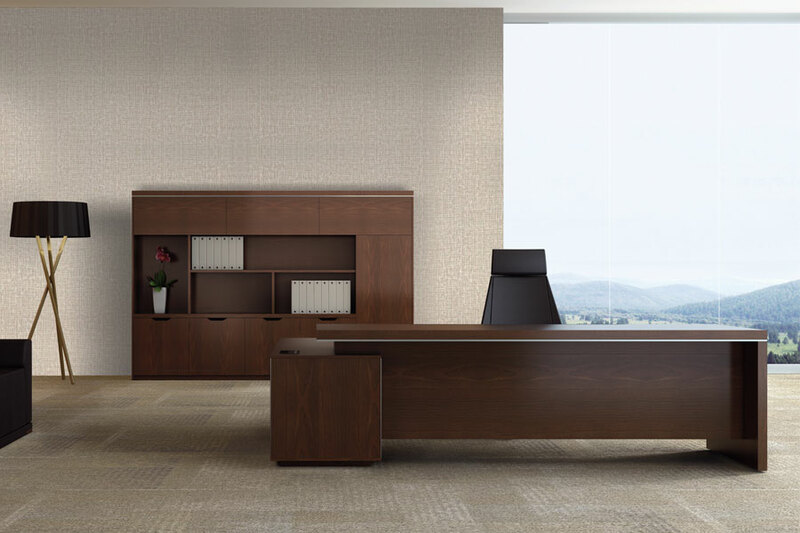 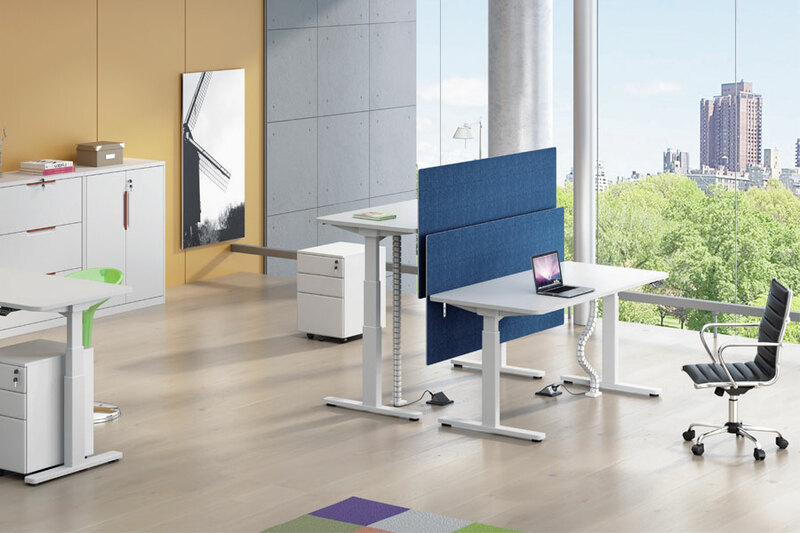 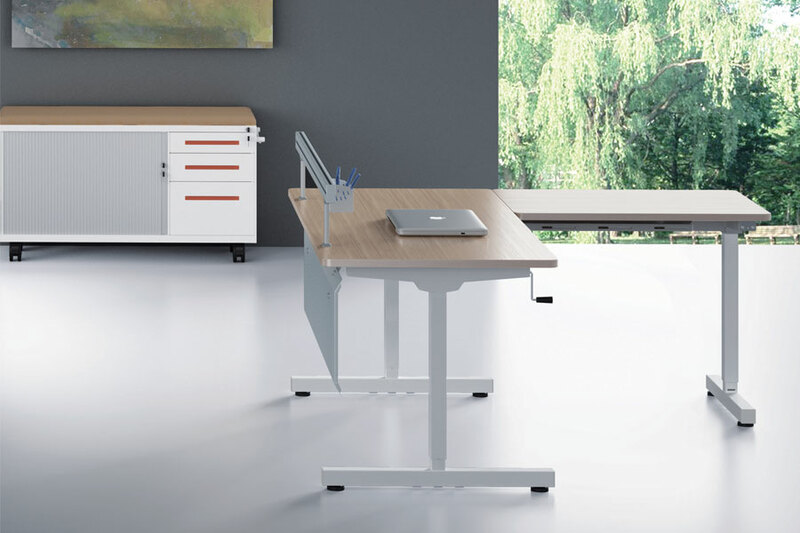 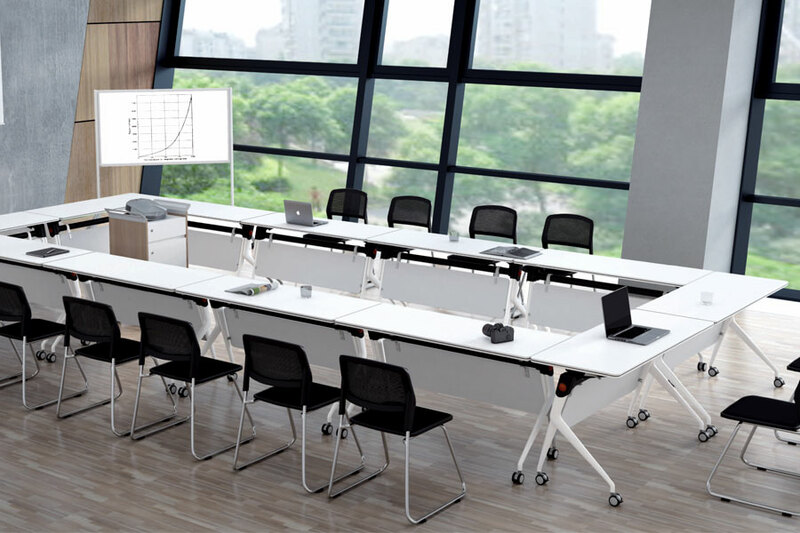 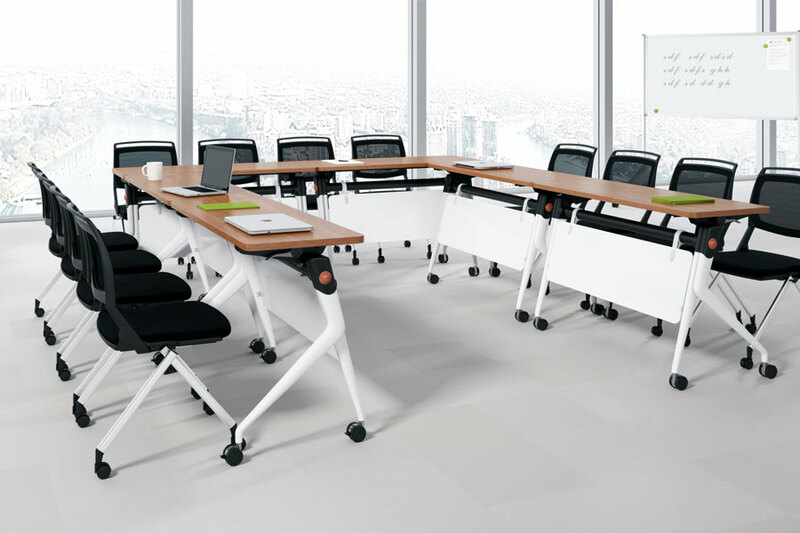 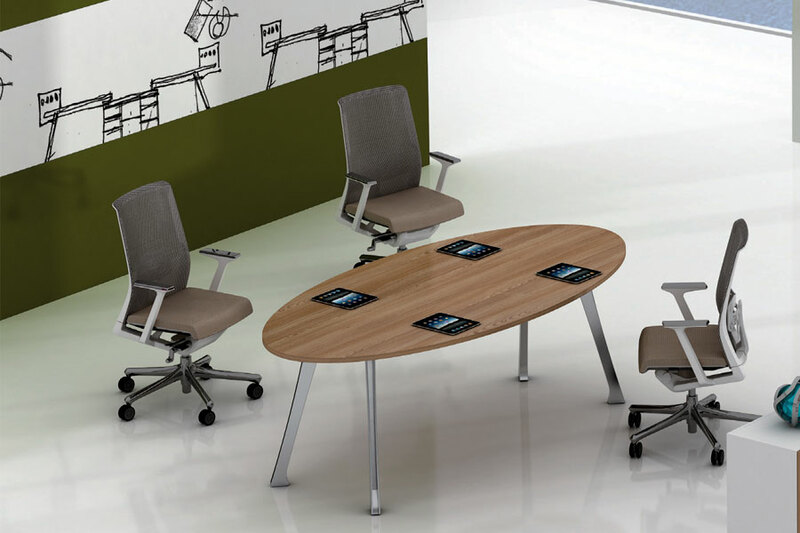 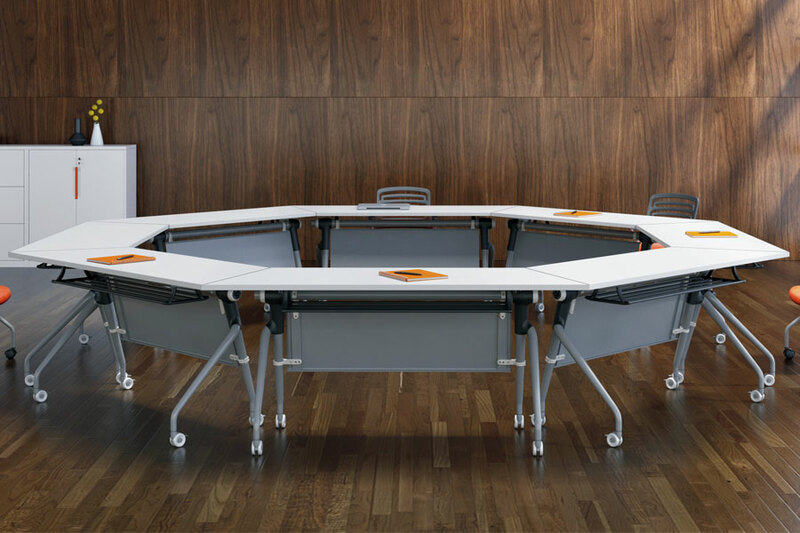 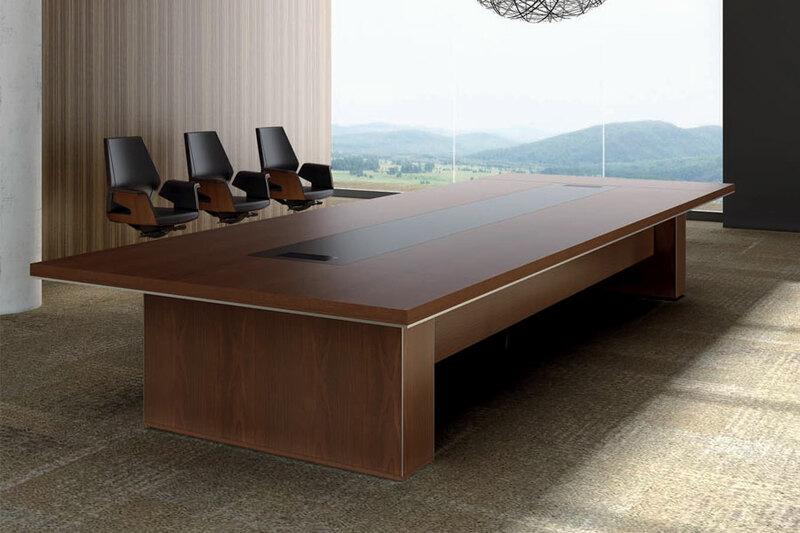 Whether at home, in the office or at a board meeting, office furniture plays a key role in increasing productivity, focus and quality of work for corporations. 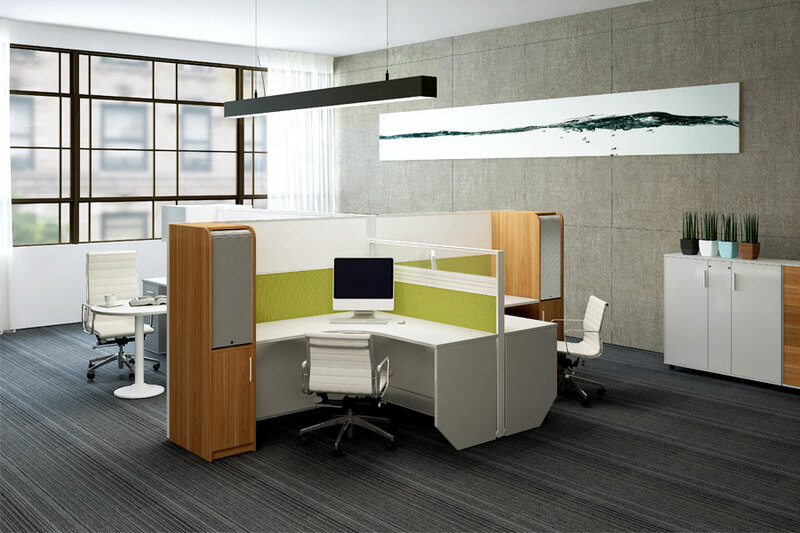 The visual appearance is important, but it doesn't play a vital role in making a positive workspace. 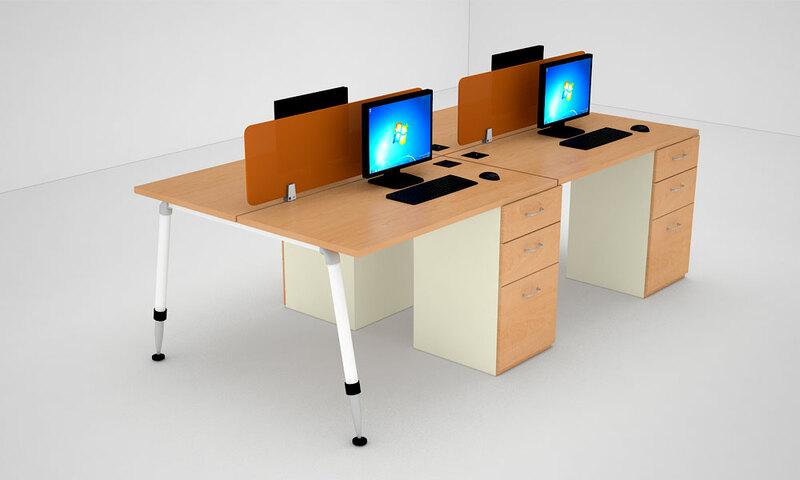 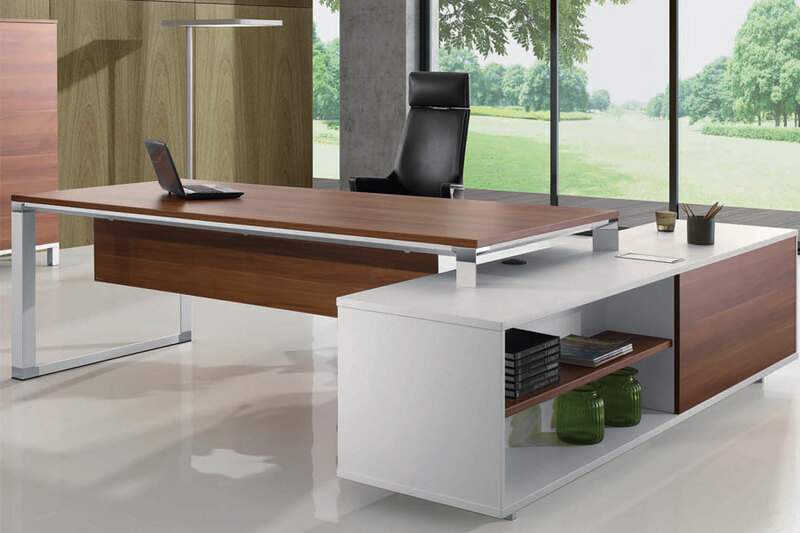 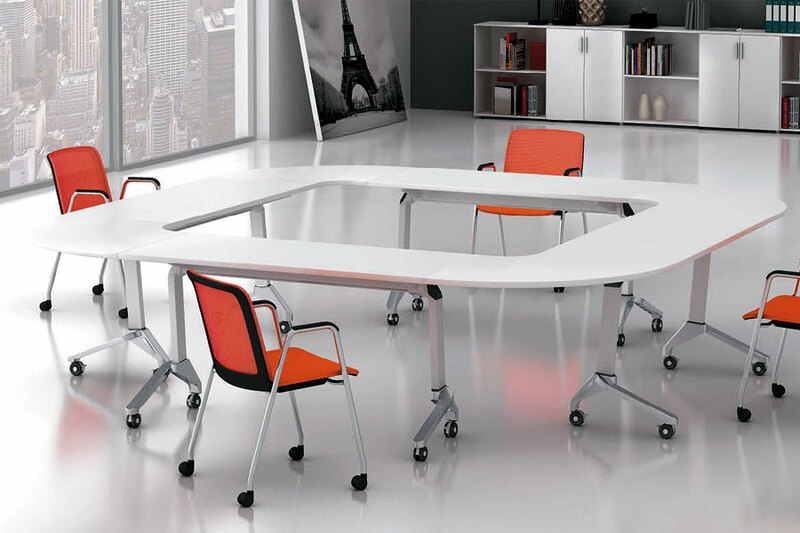 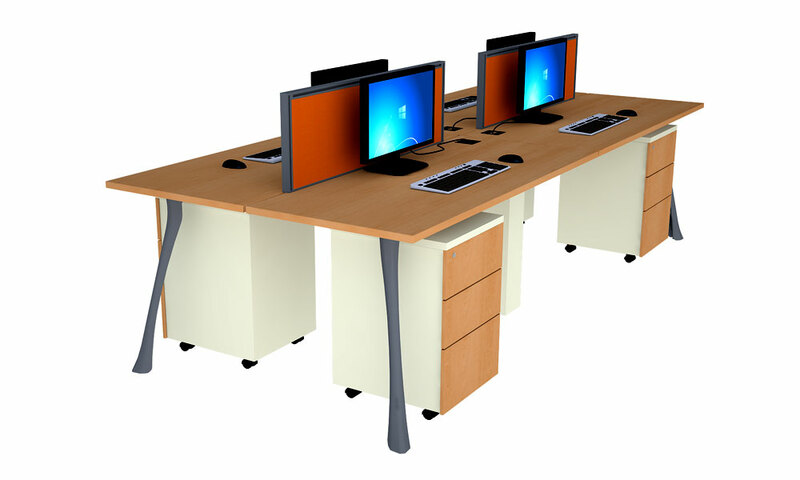 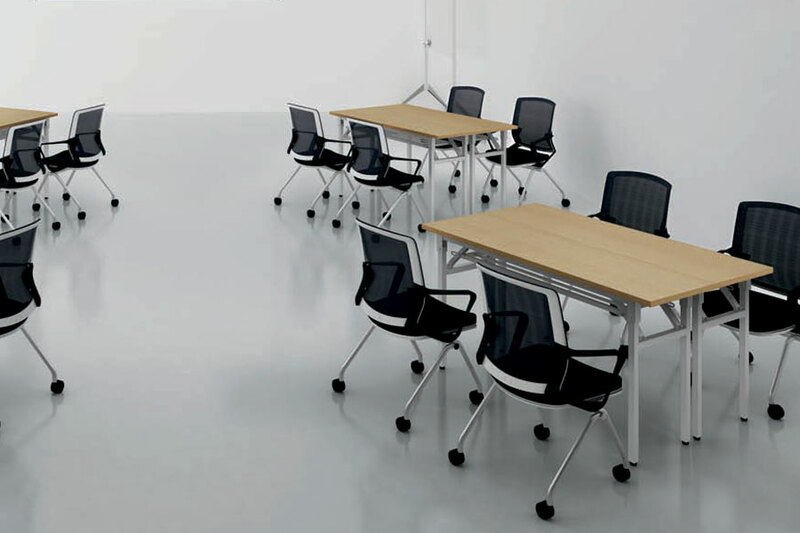 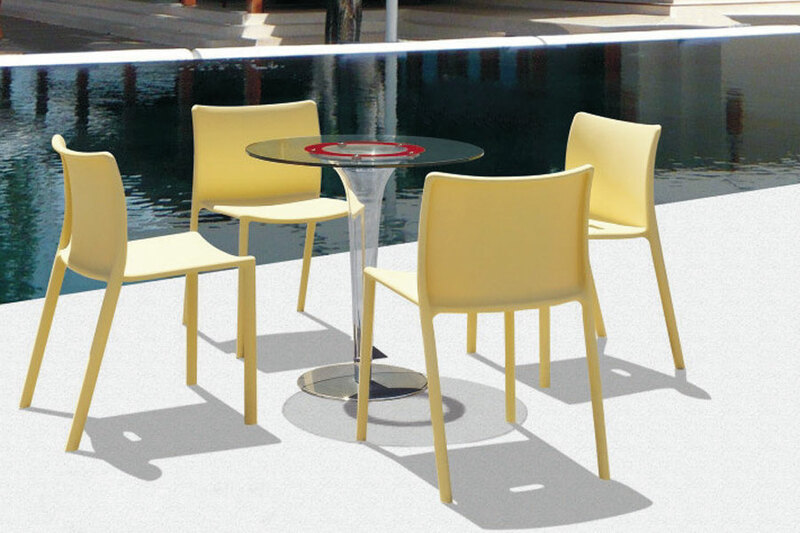 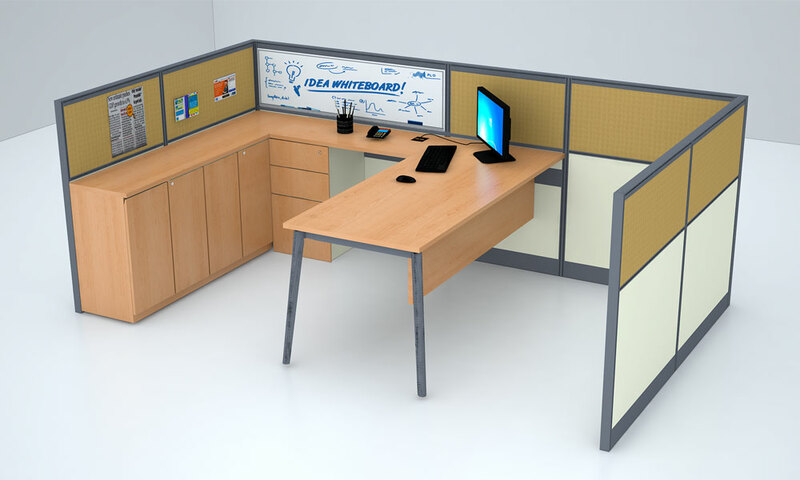 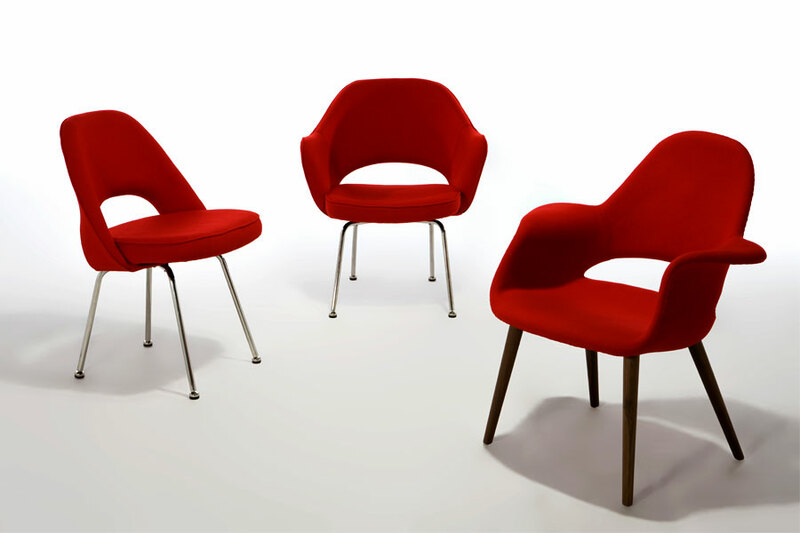 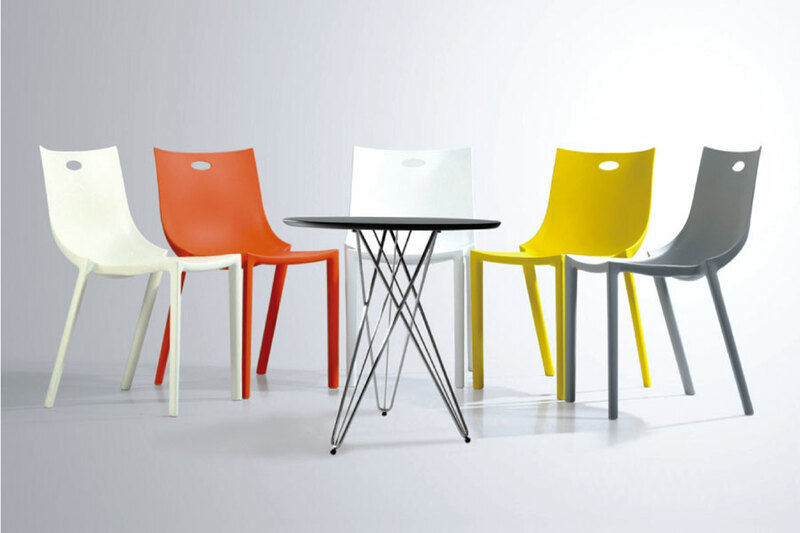 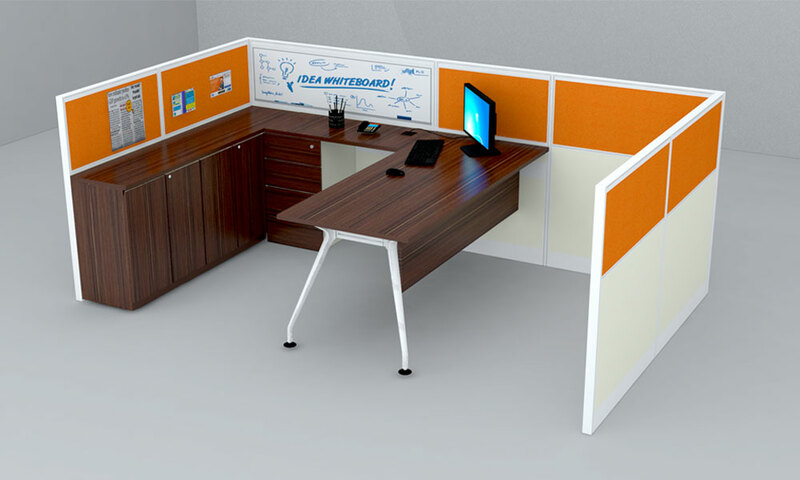 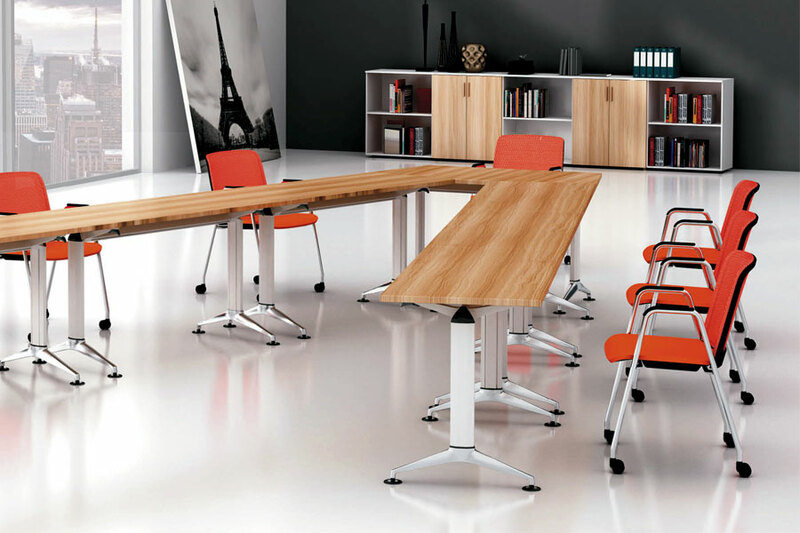 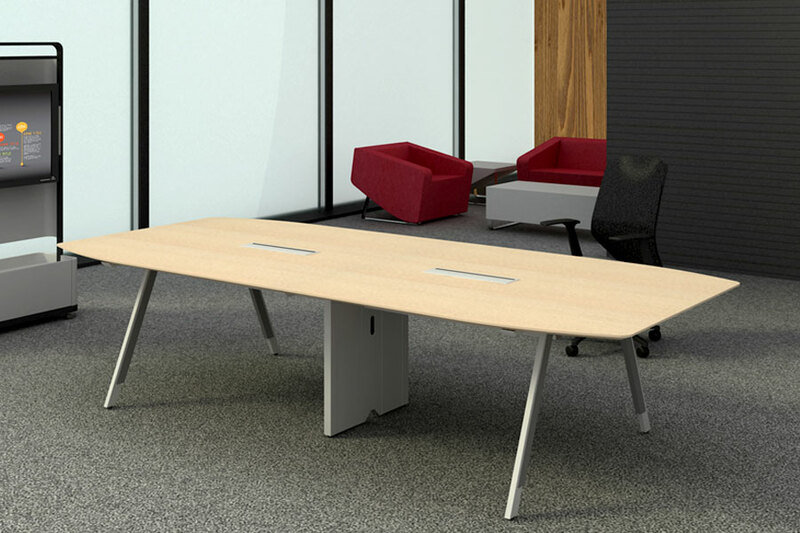 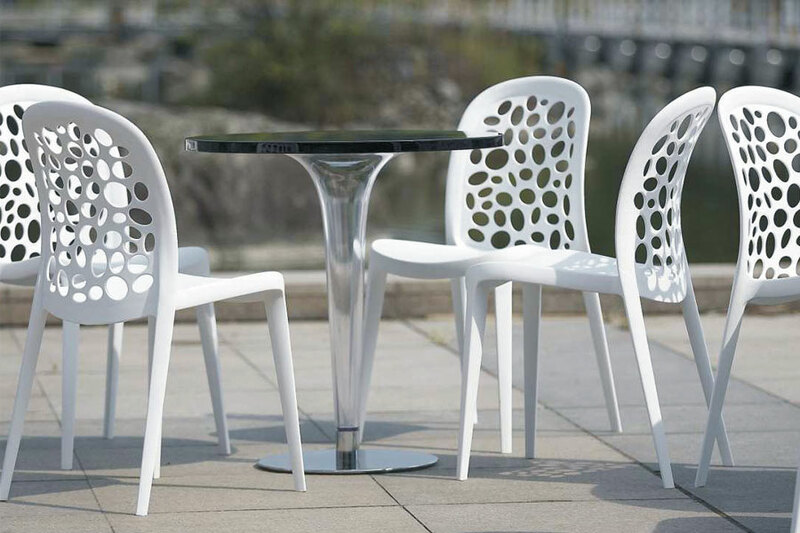 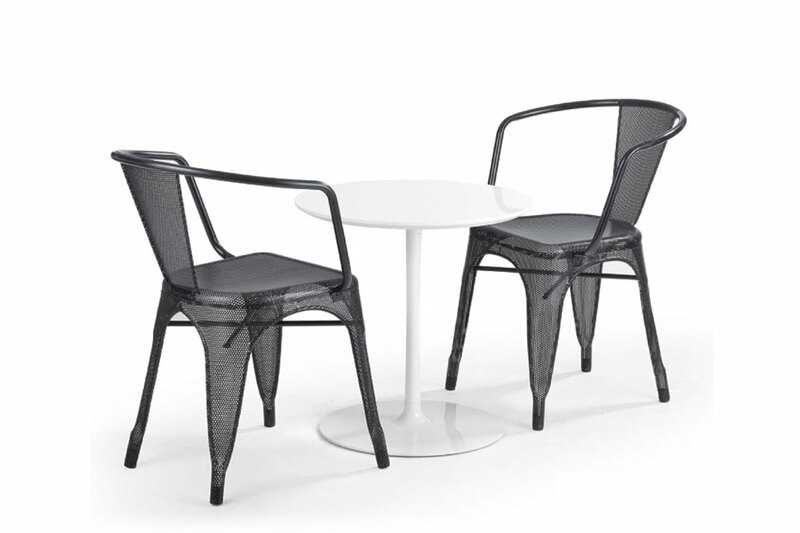 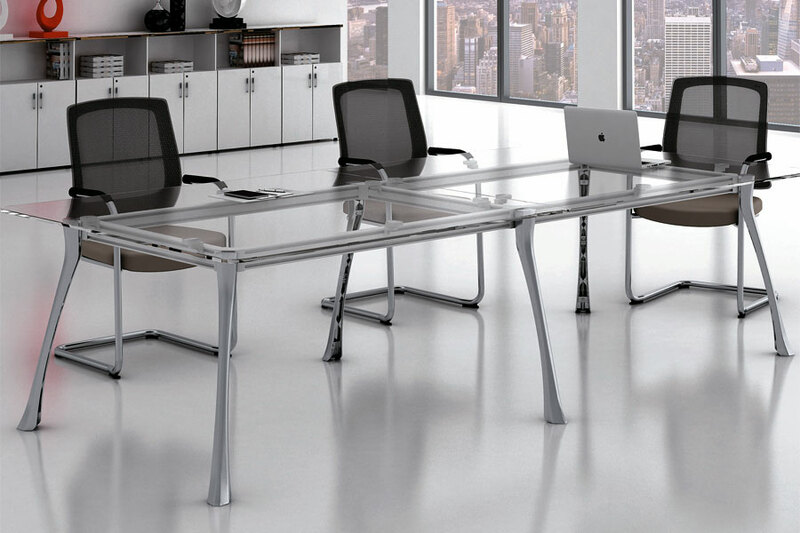 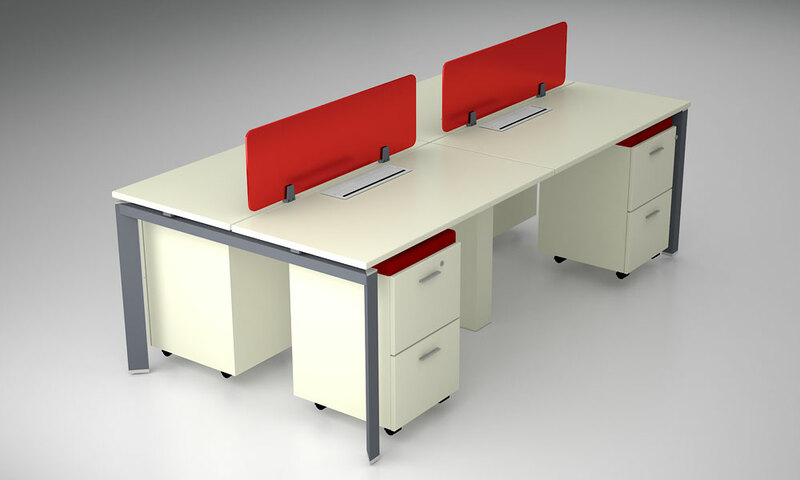 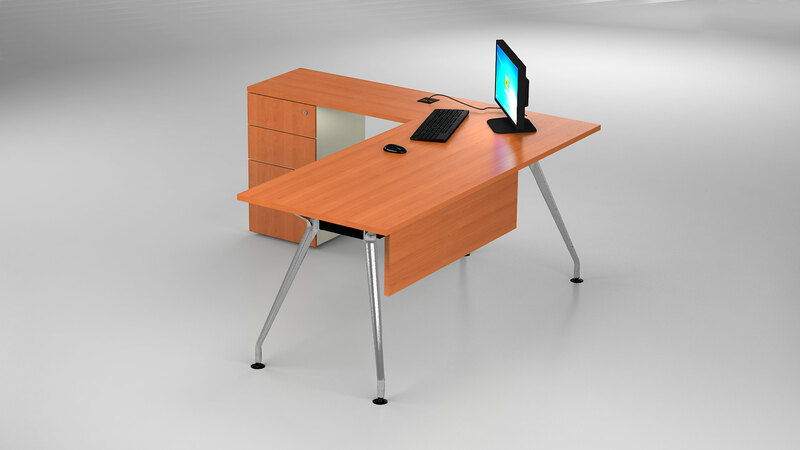 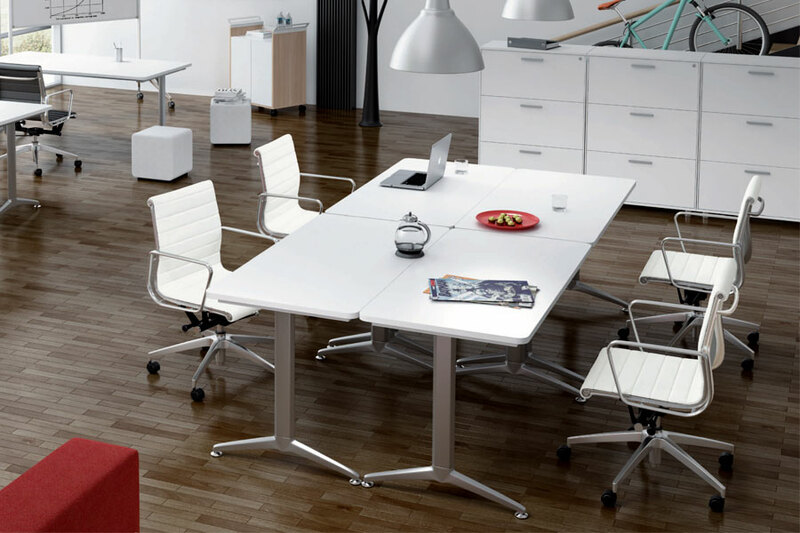 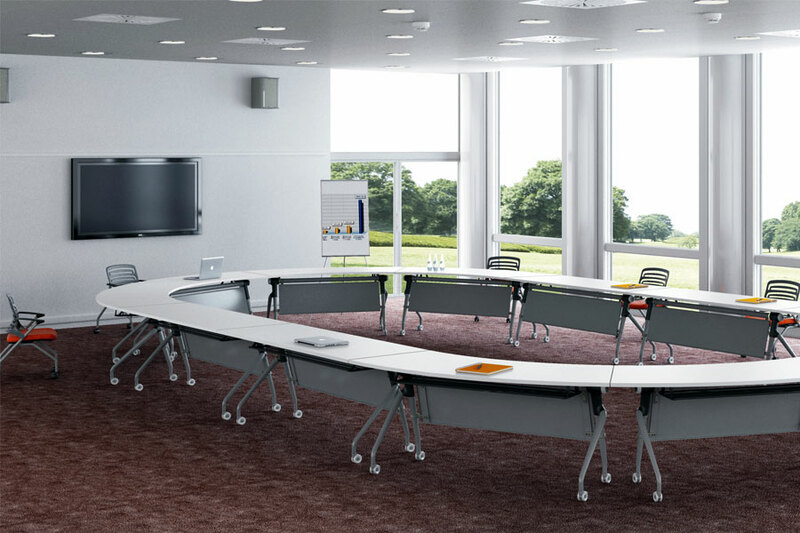 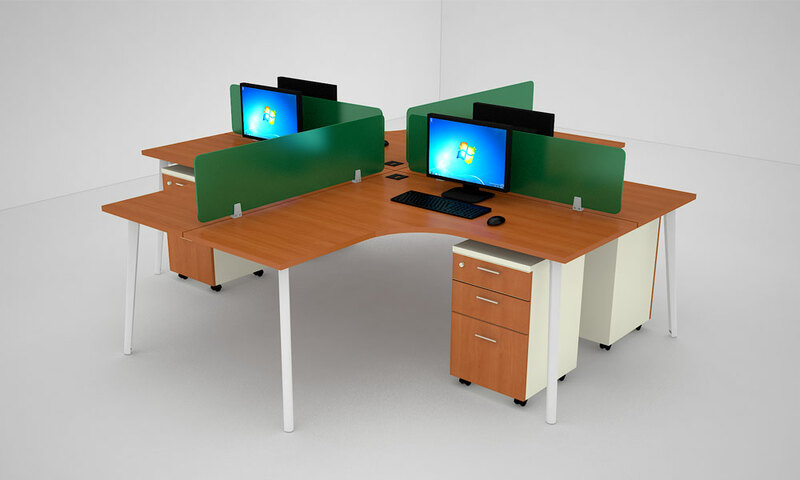 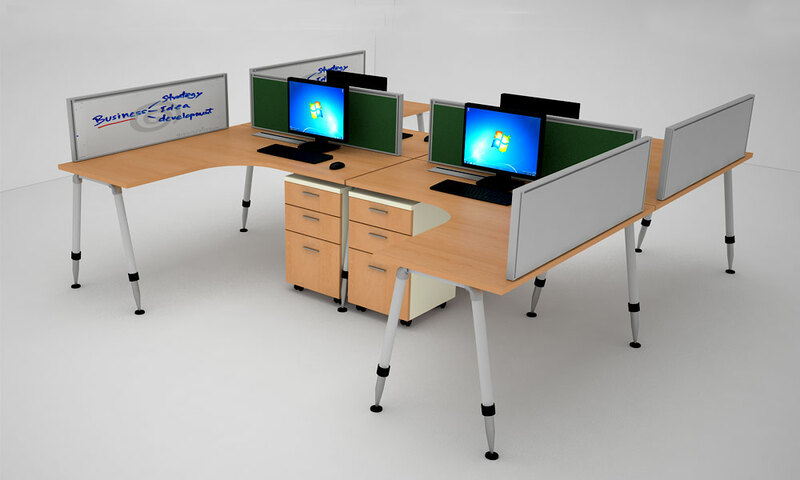 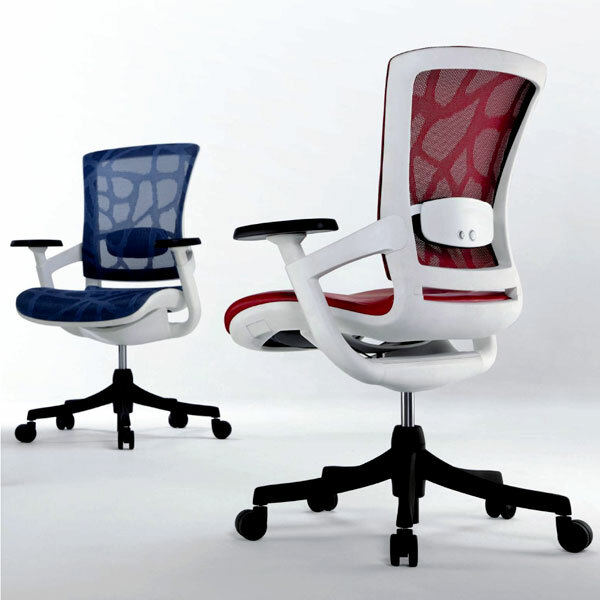 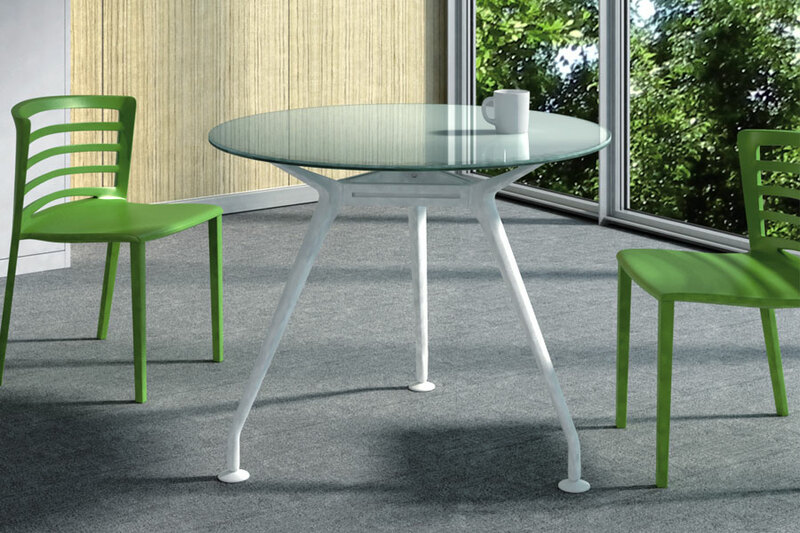 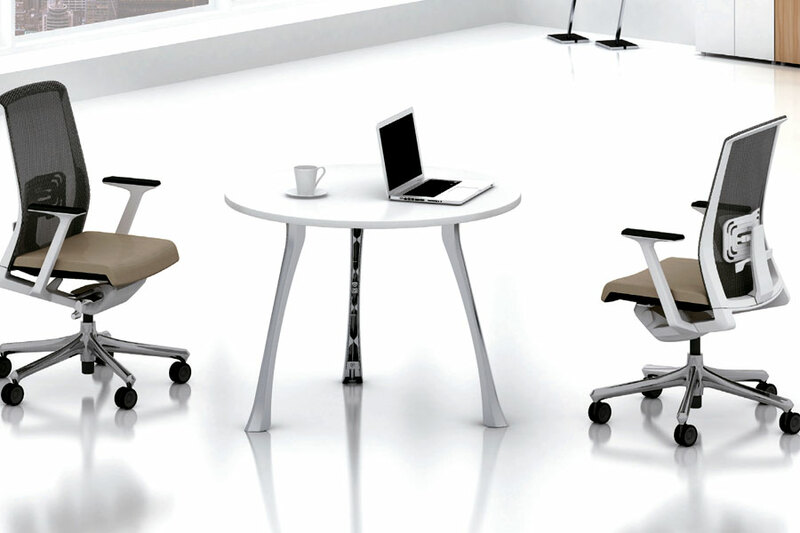 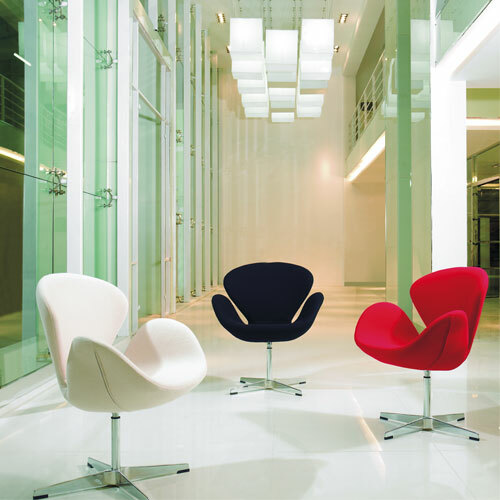 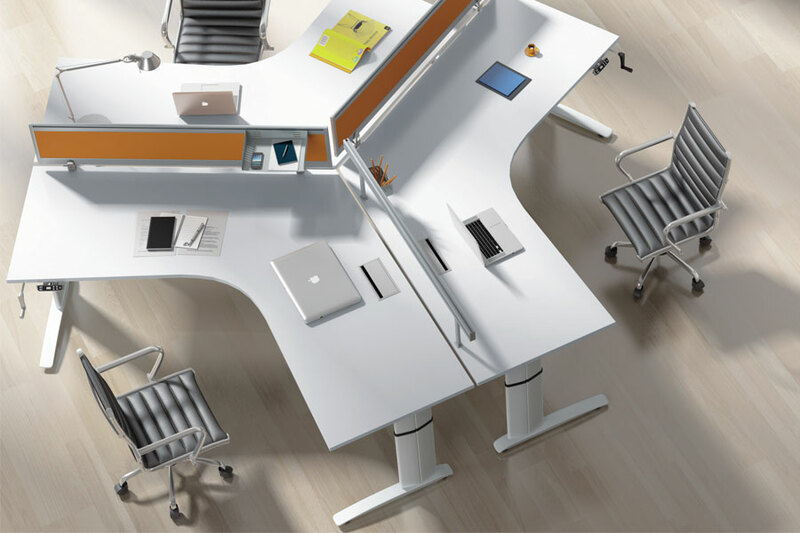 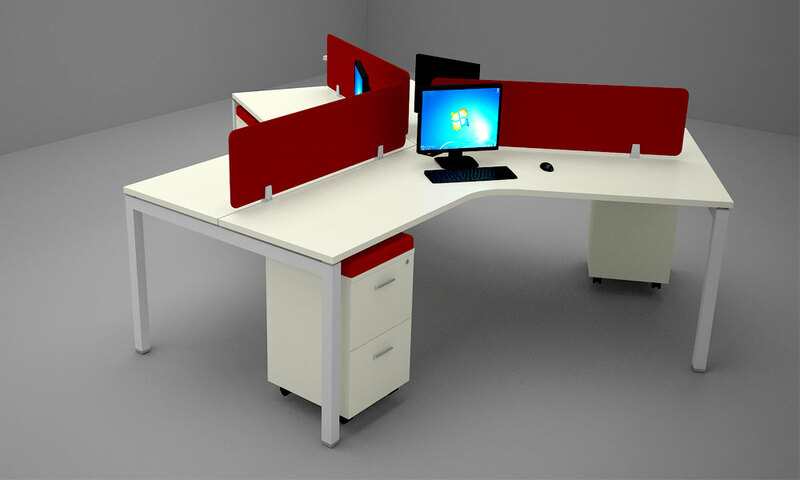 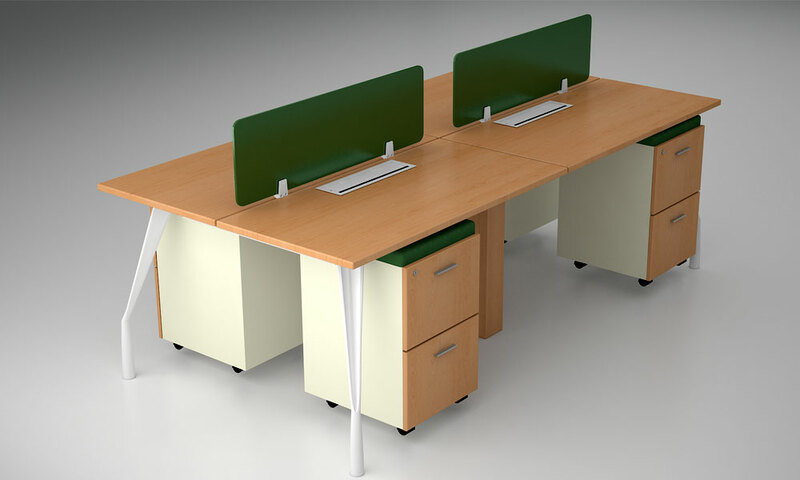 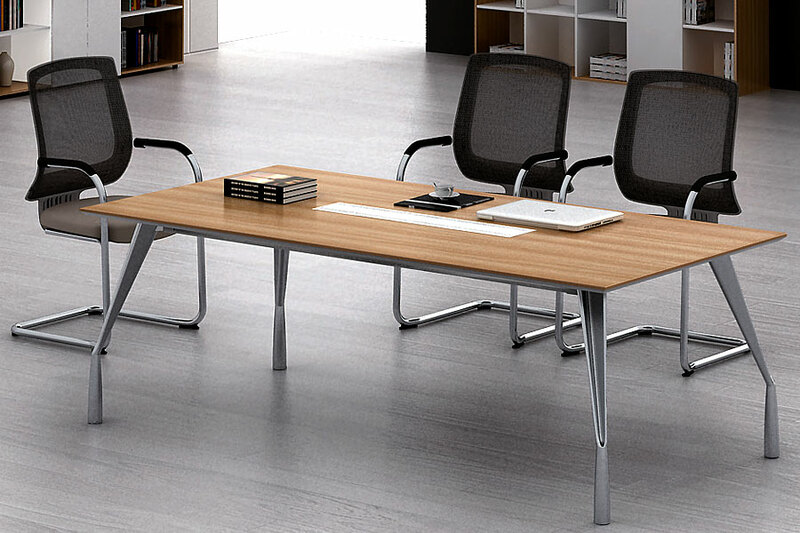 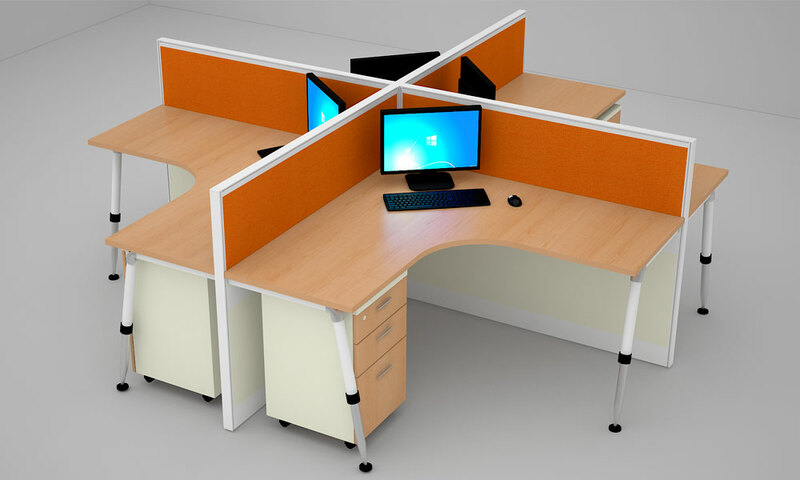 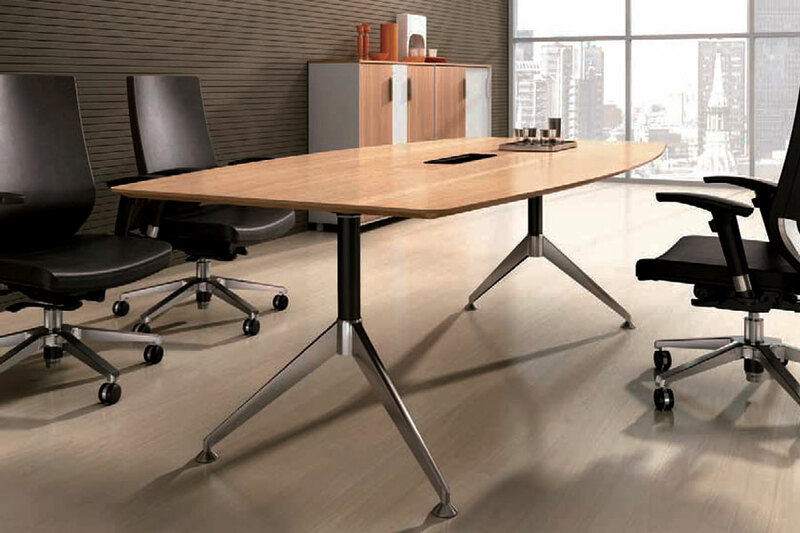 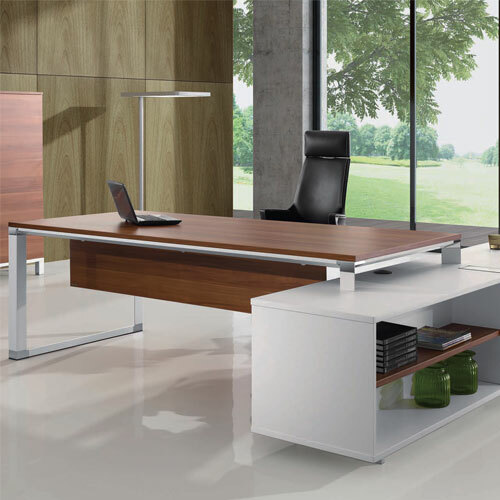 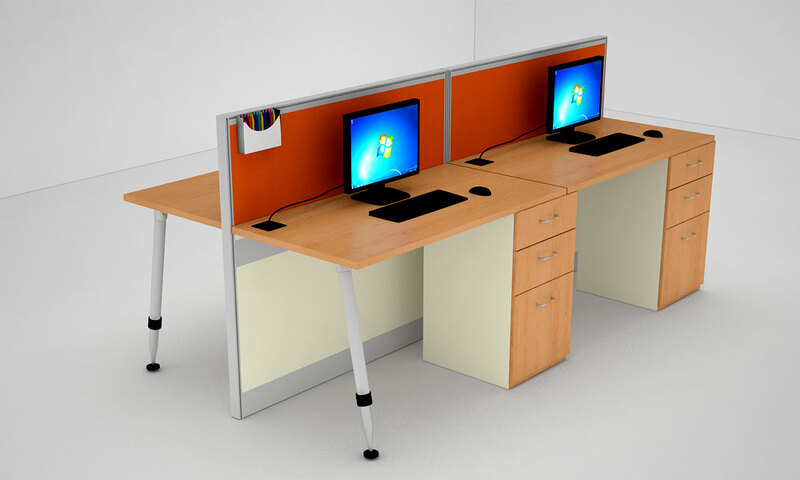 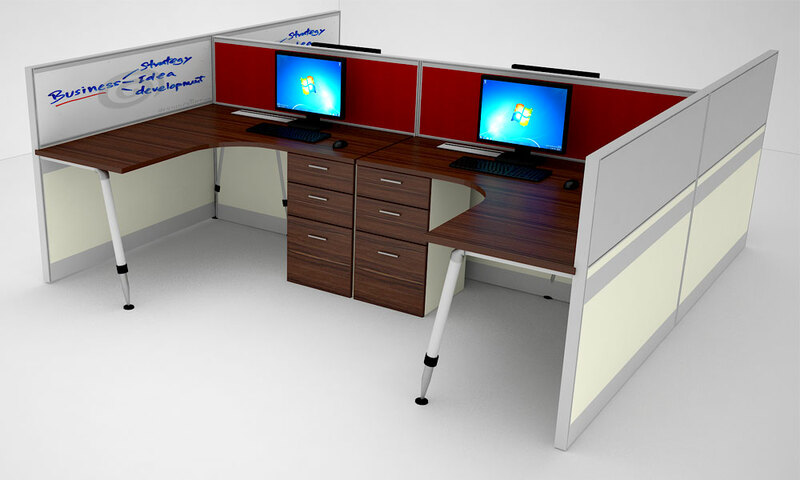 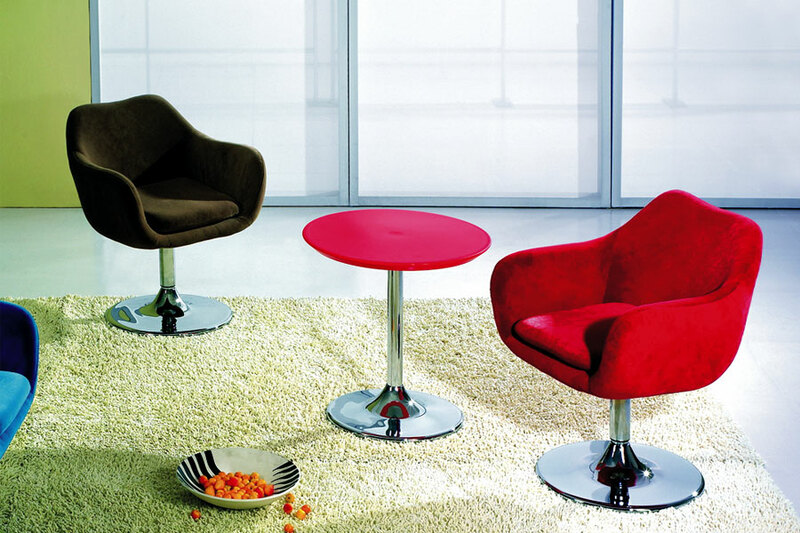 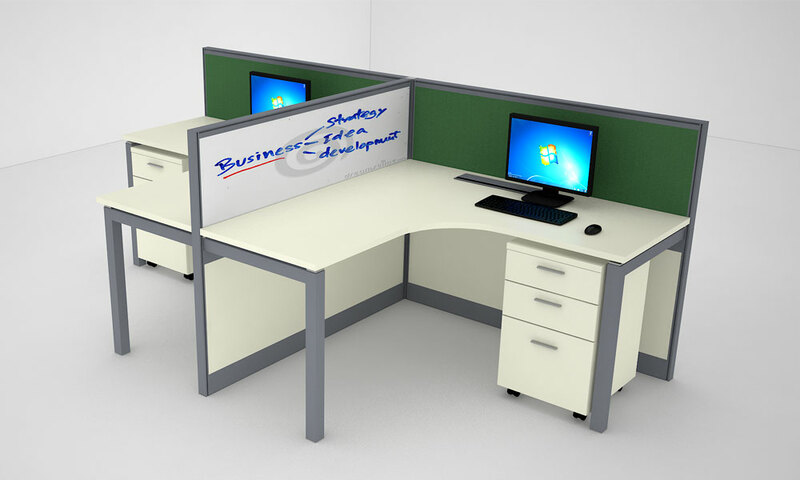 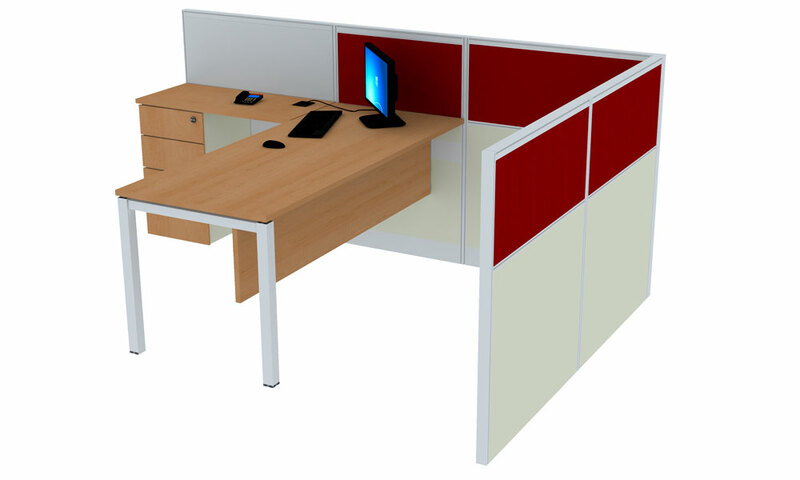 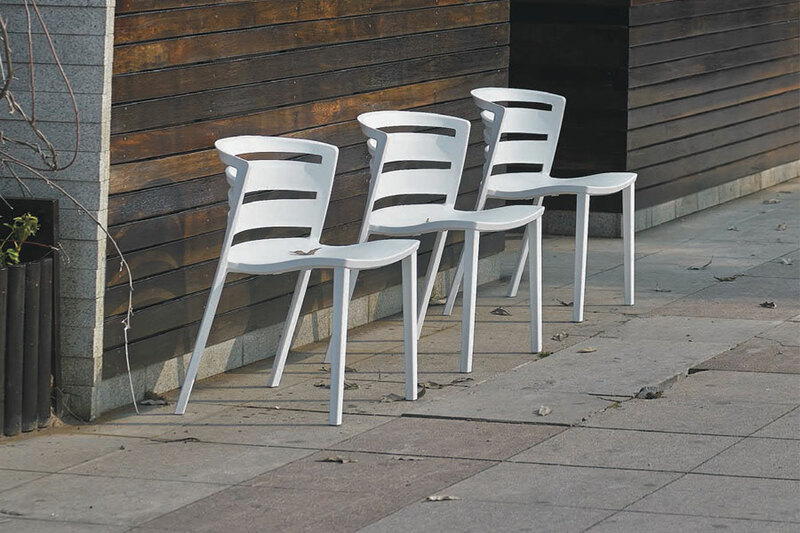 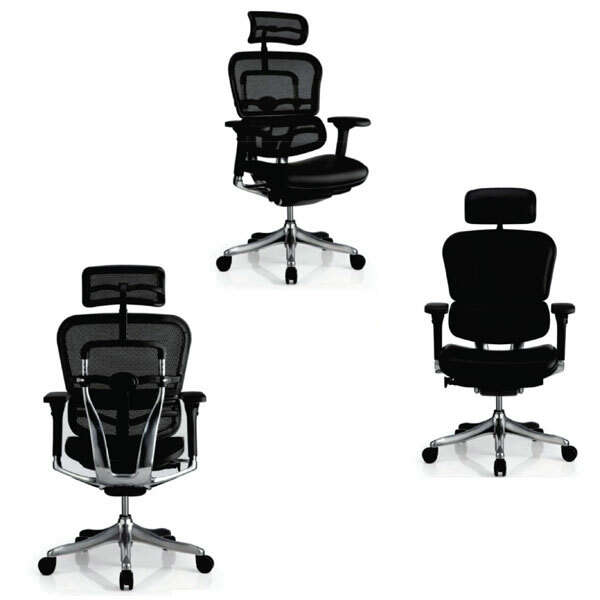 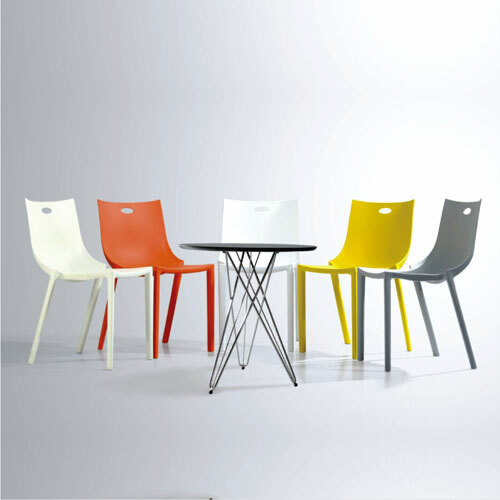 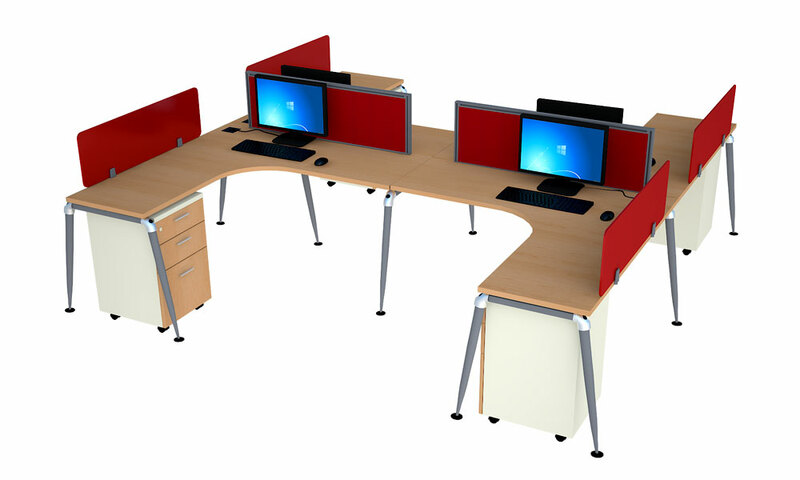 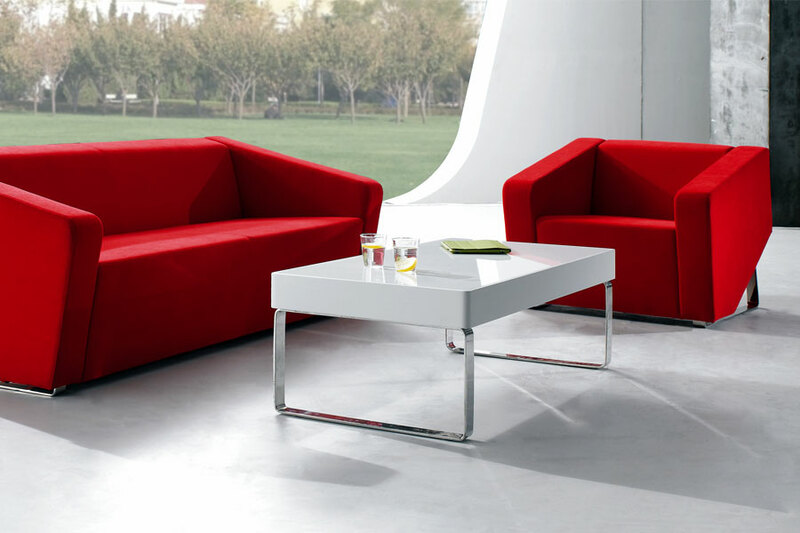 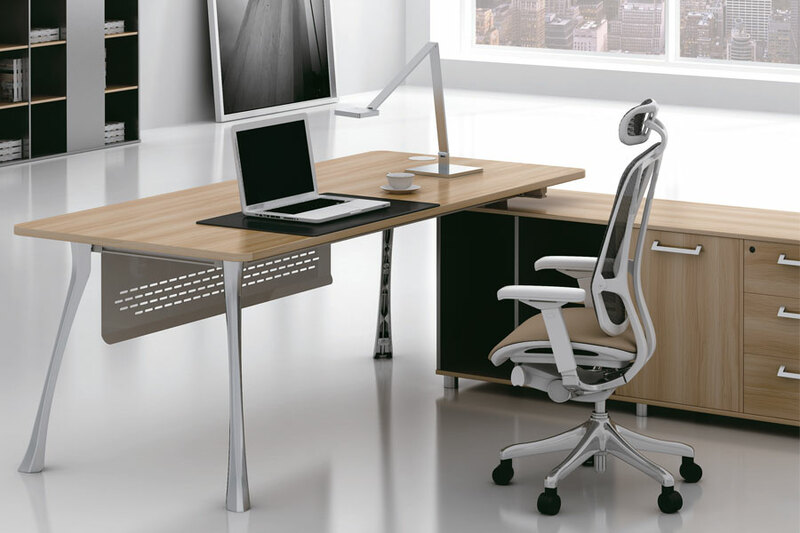 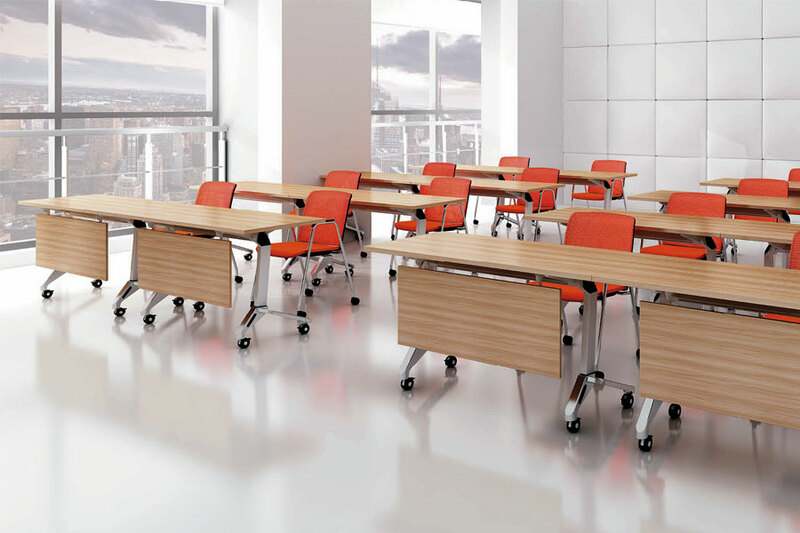 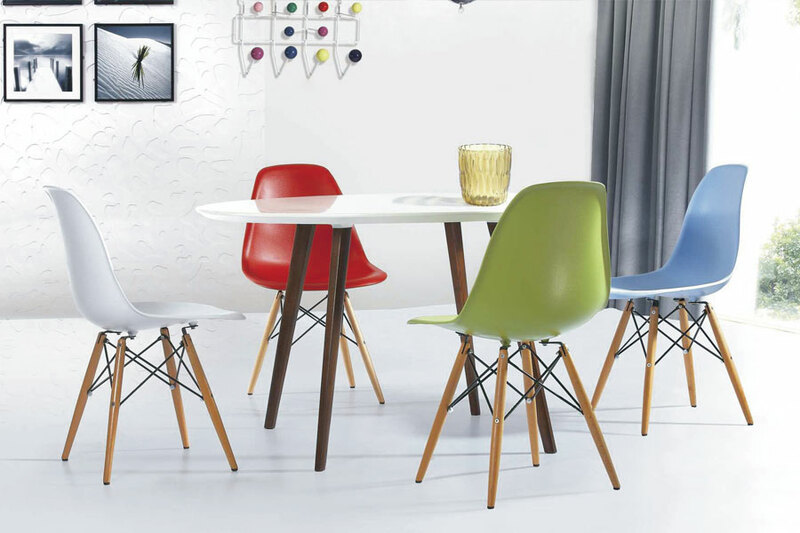 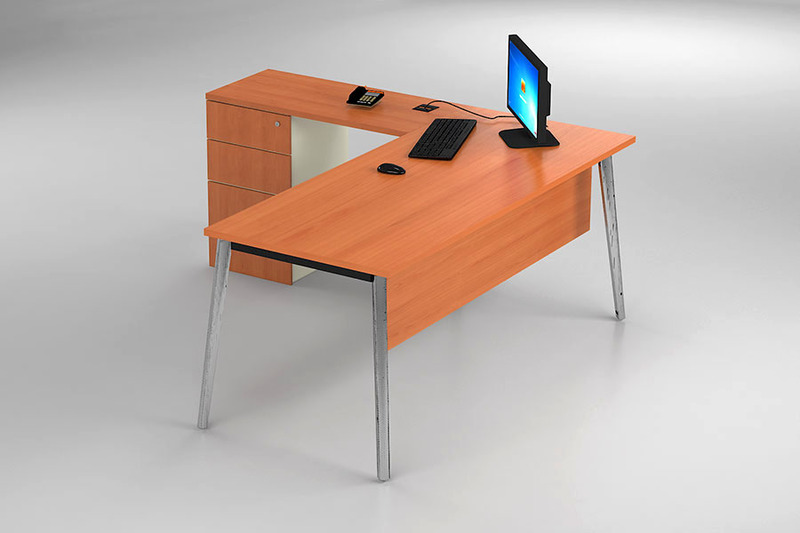 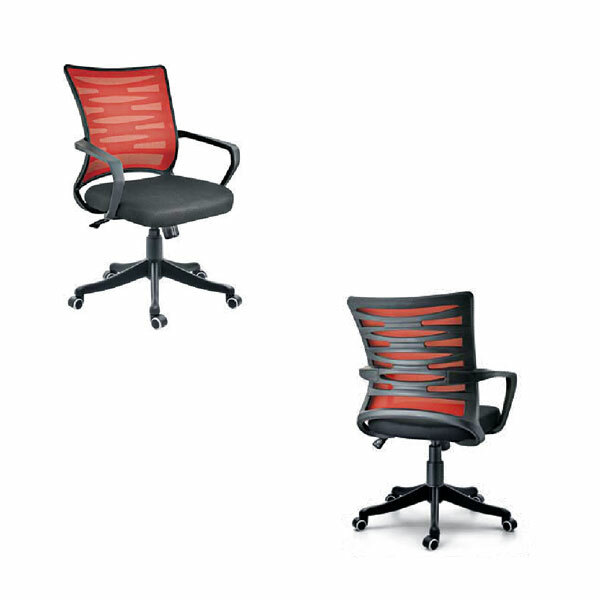 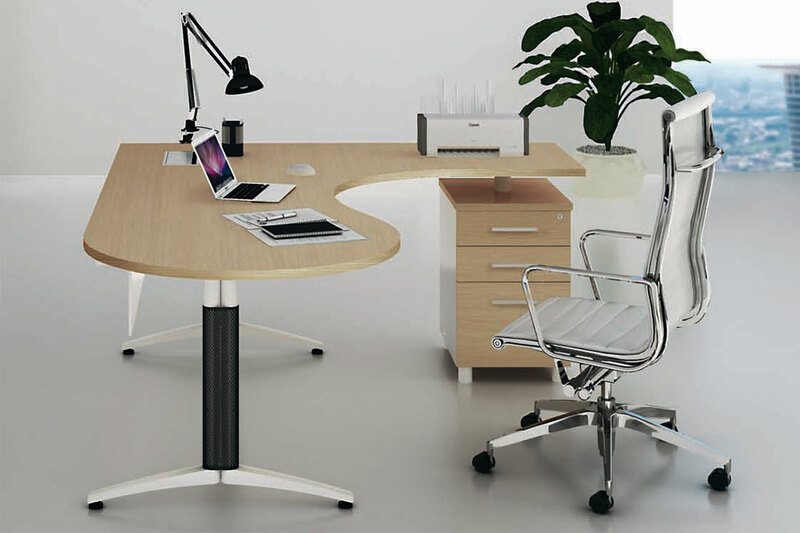 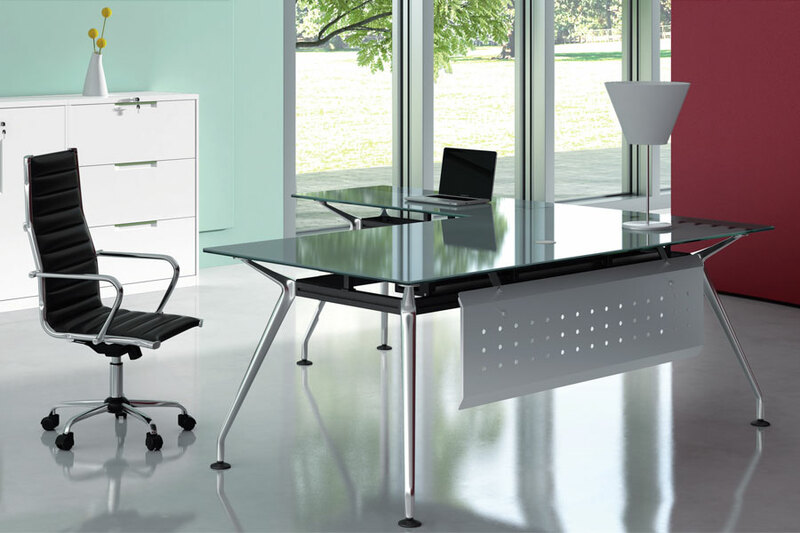 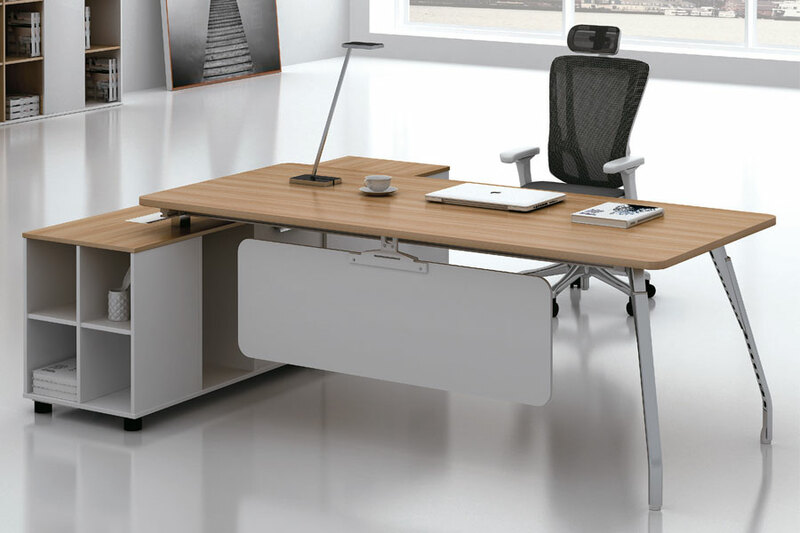 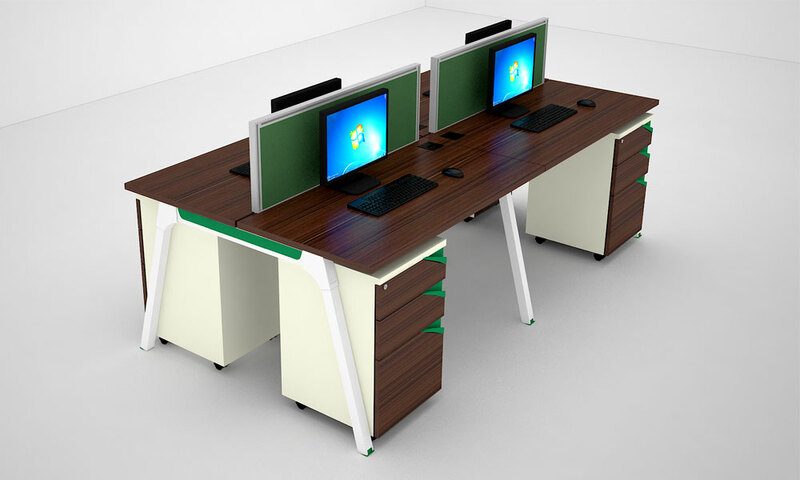 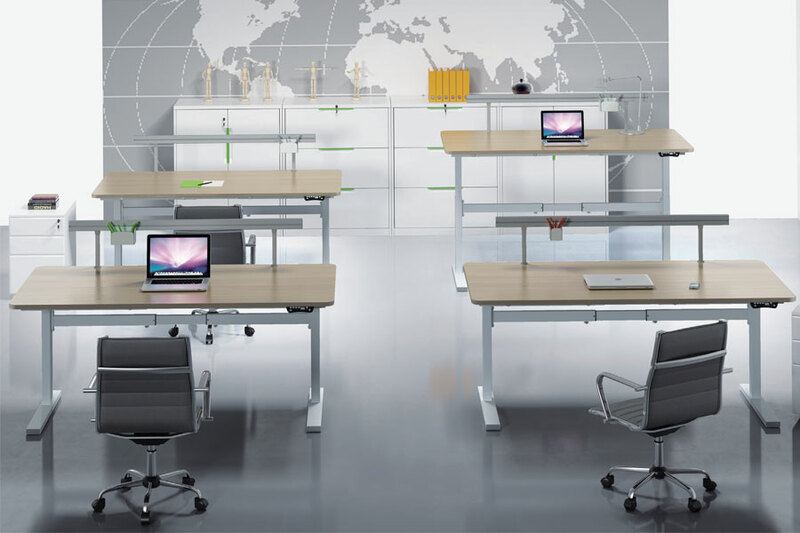 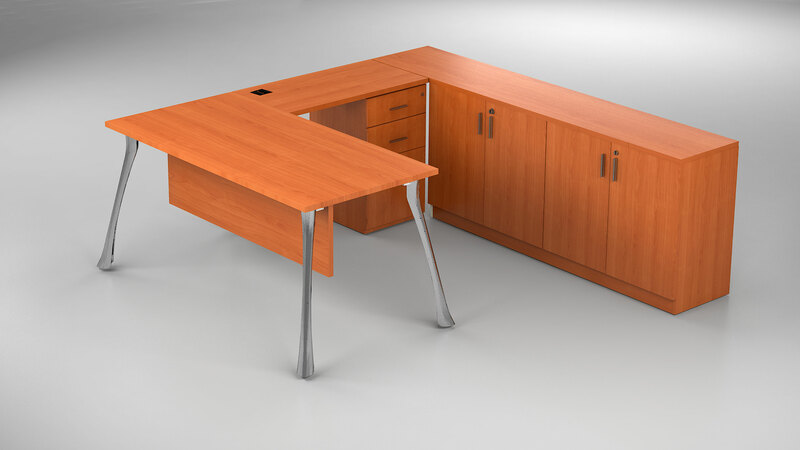 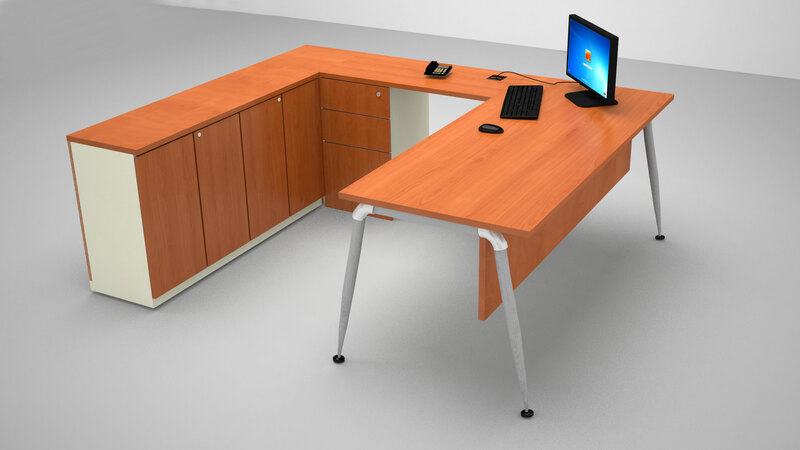 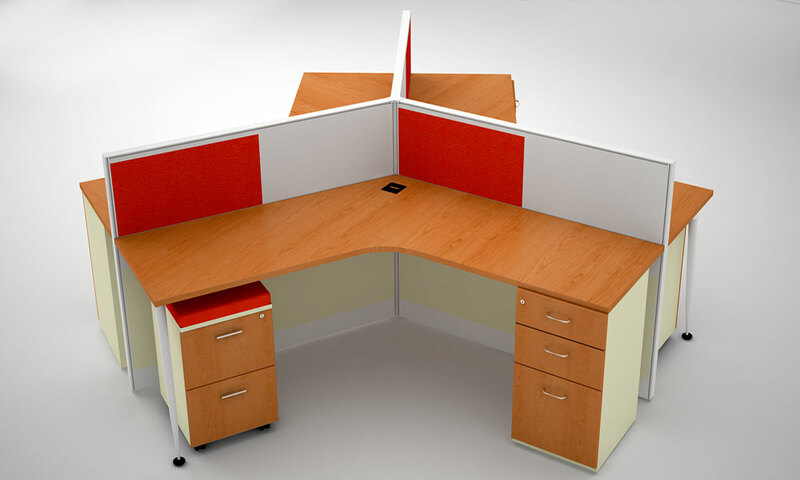 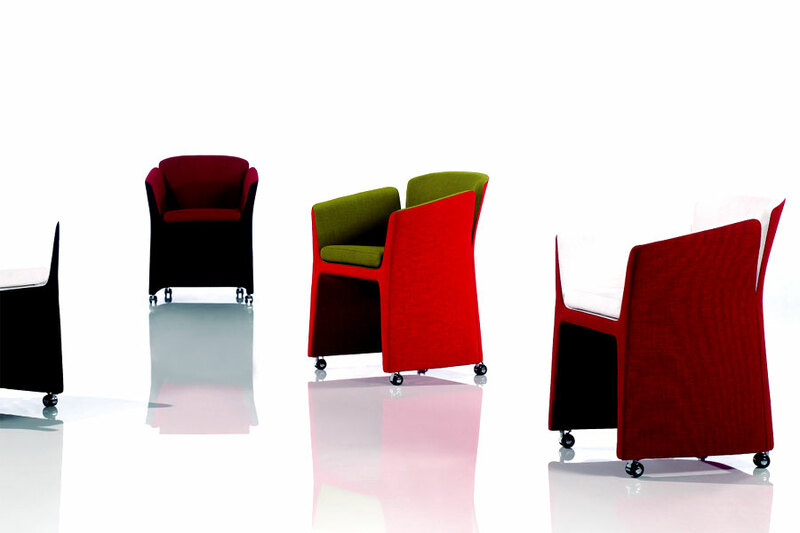 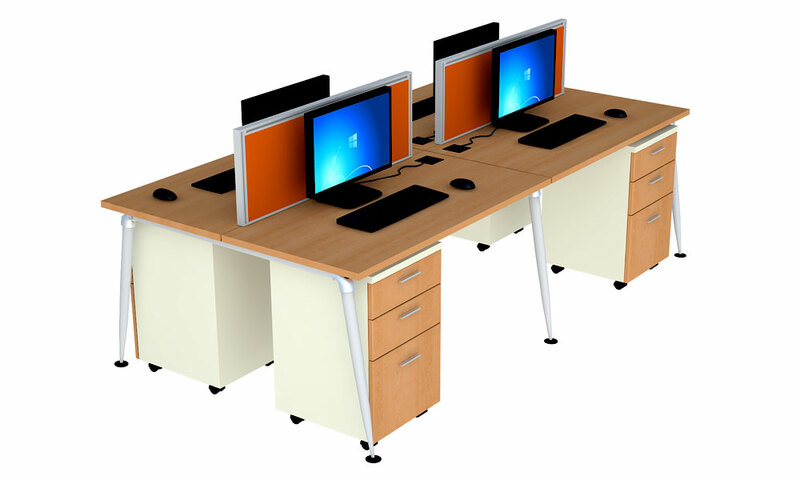 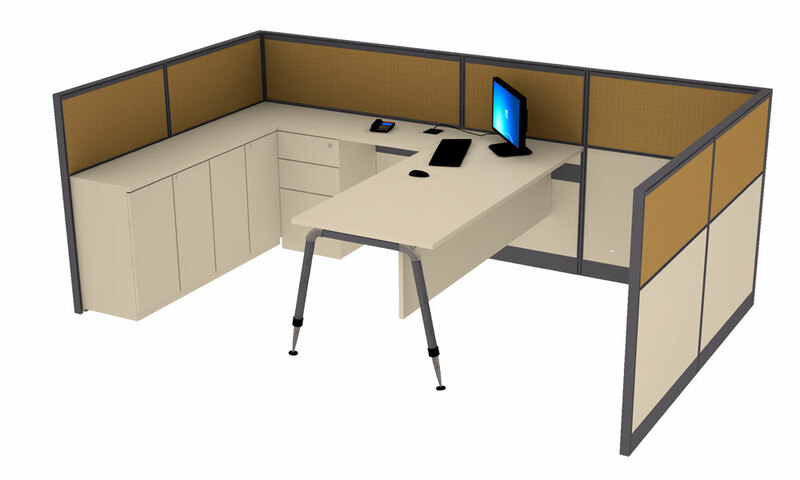 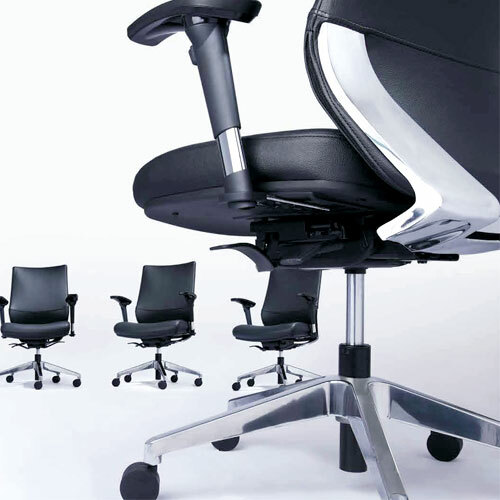 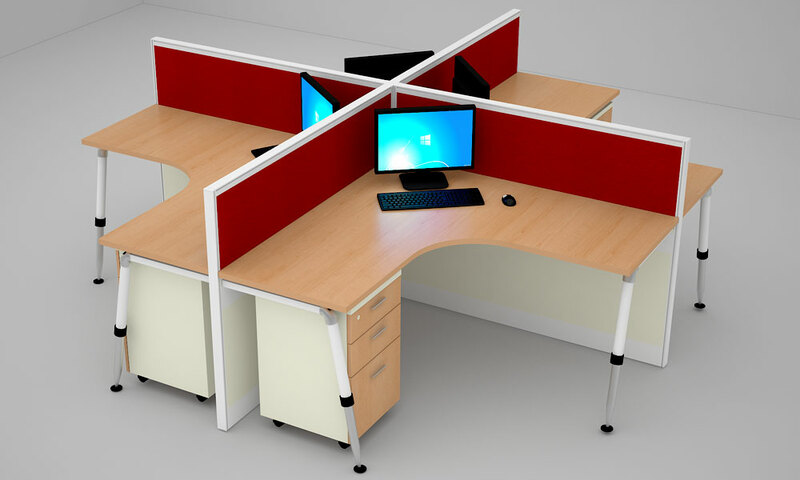 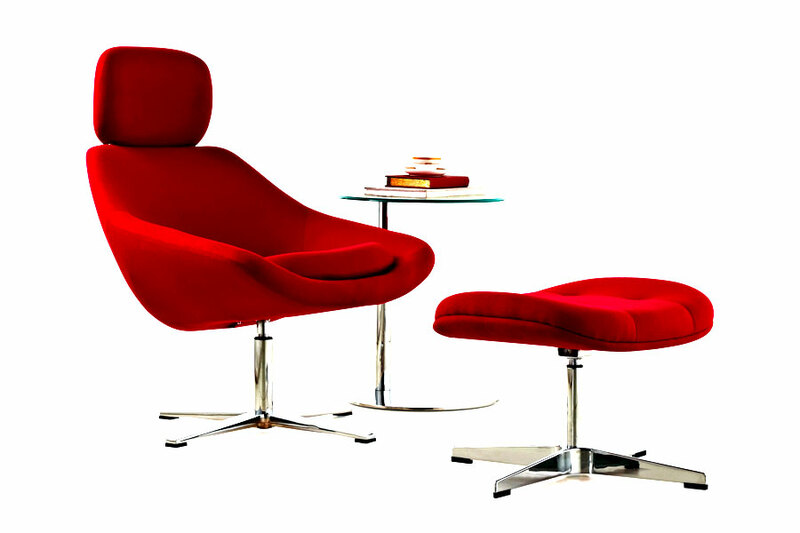 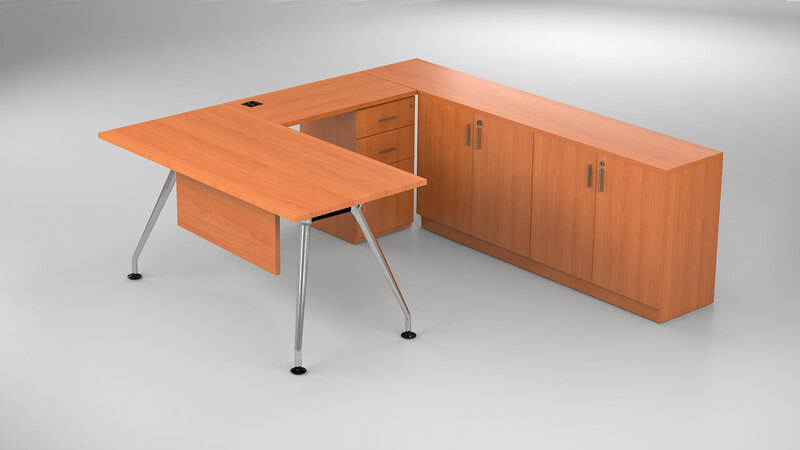 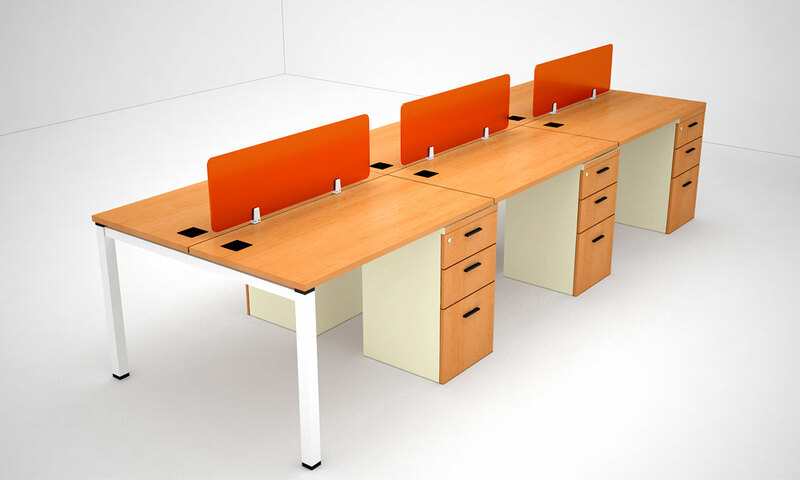 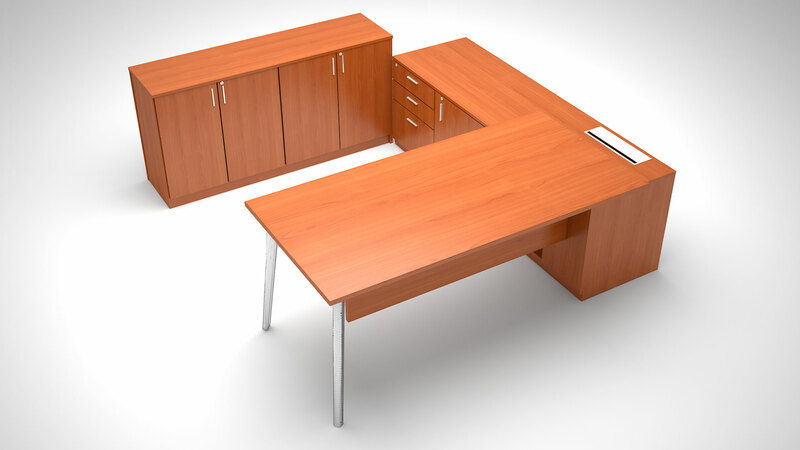 The furniture placed in any office must be functional, ergonomically designed and professionally delivered. 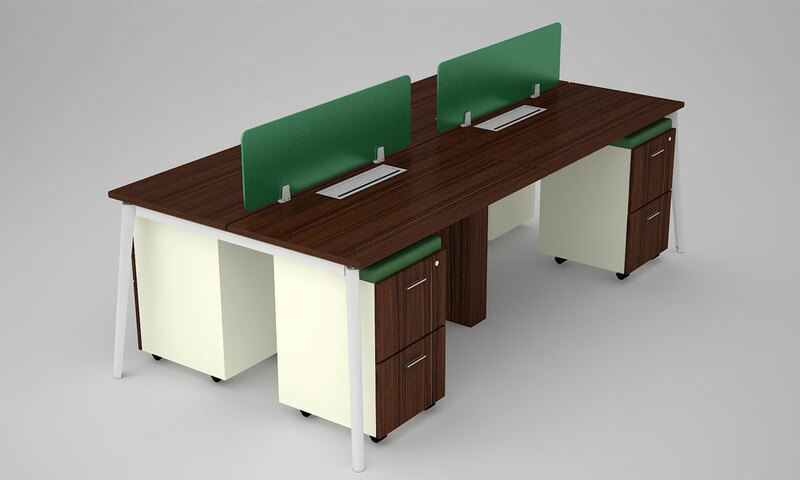 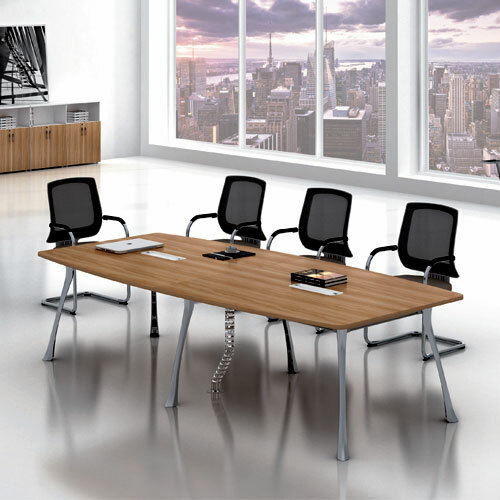 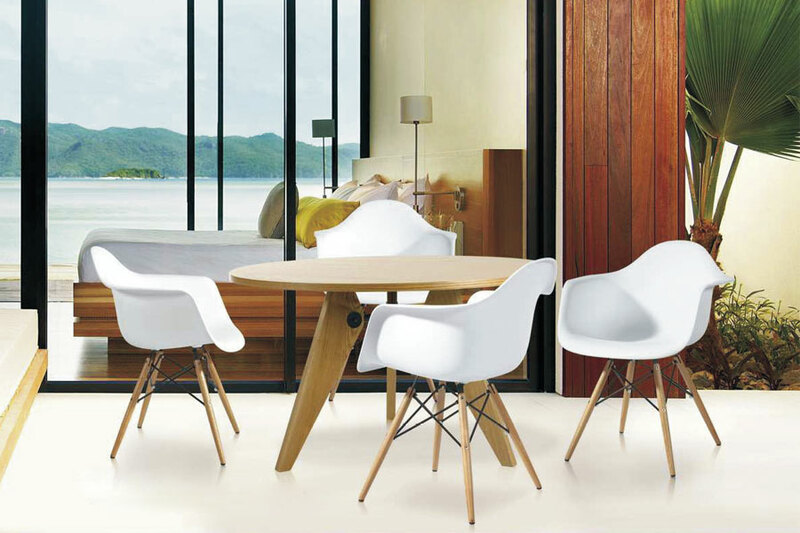 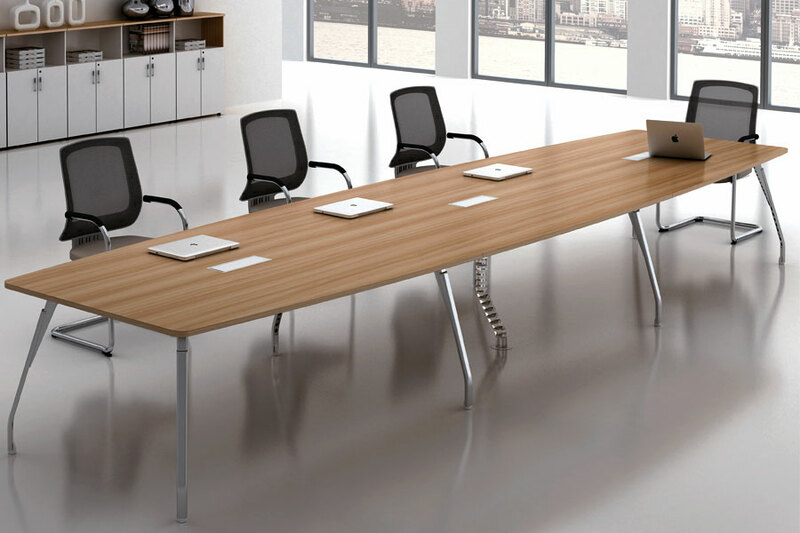 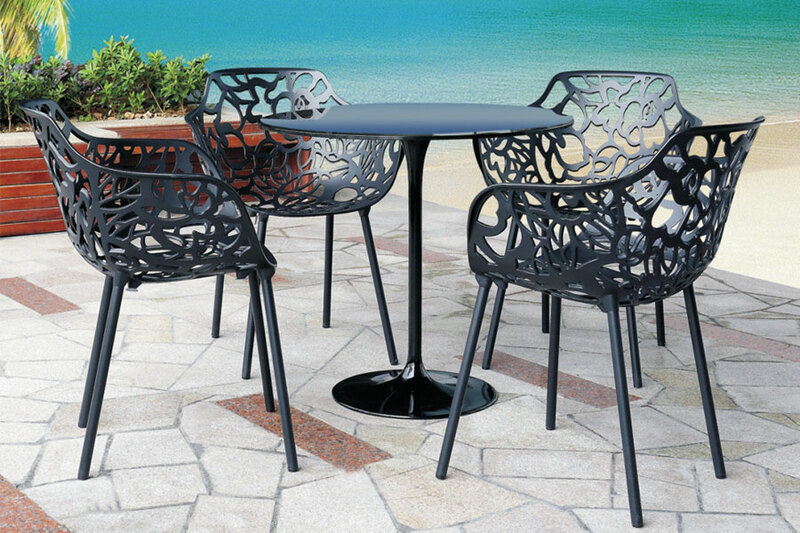 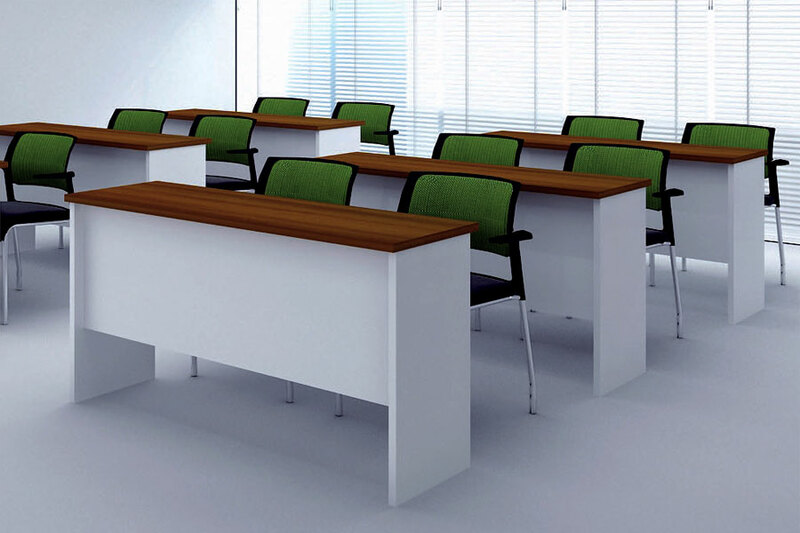 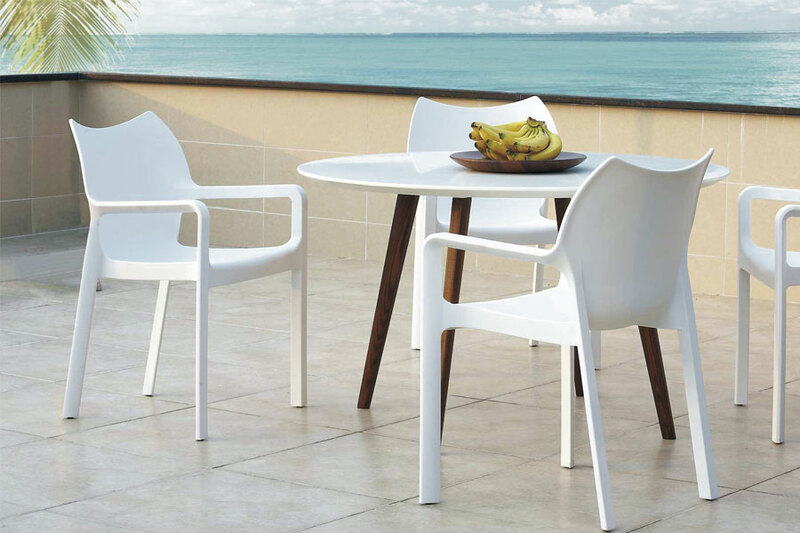 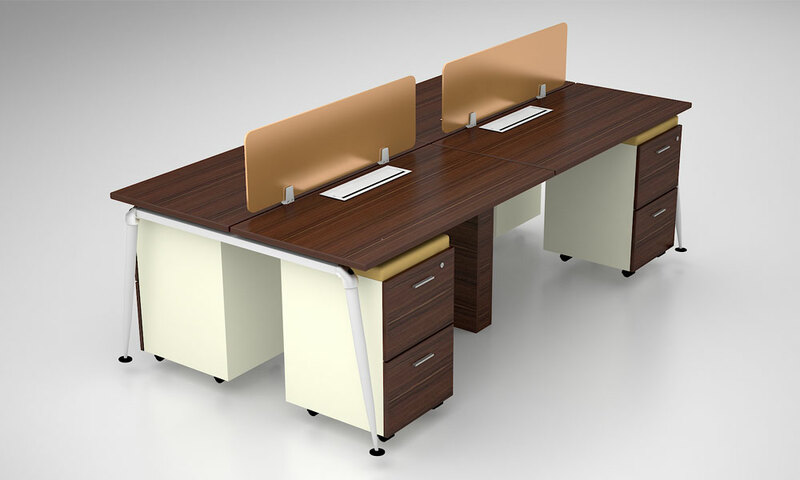 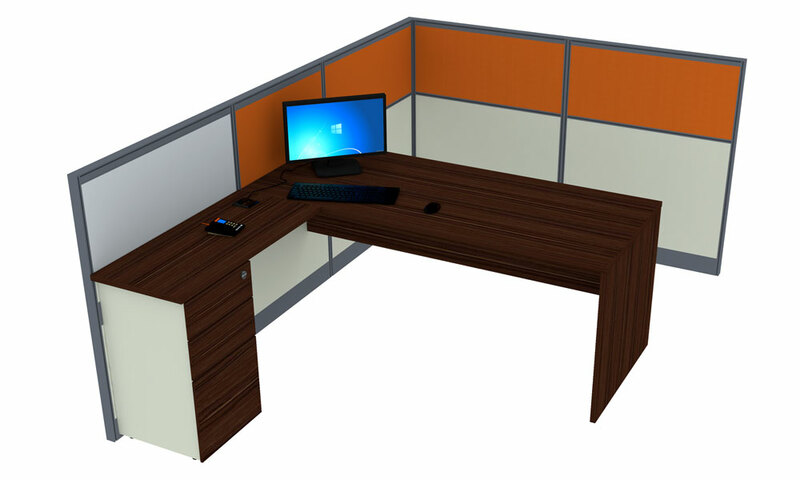 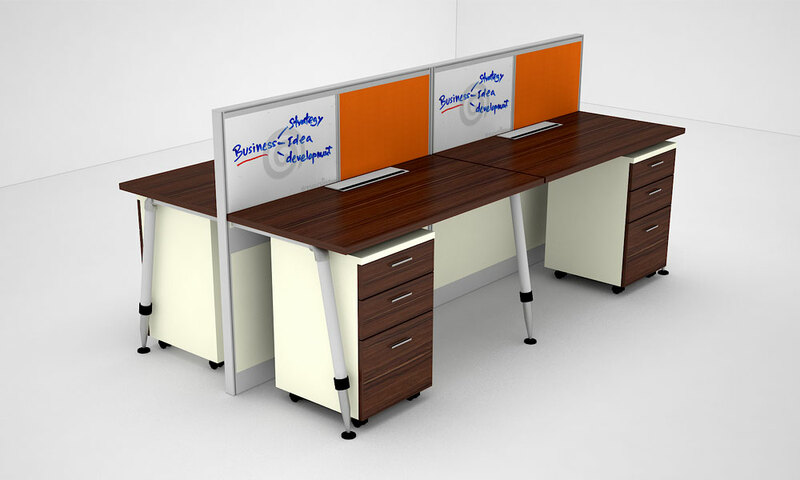 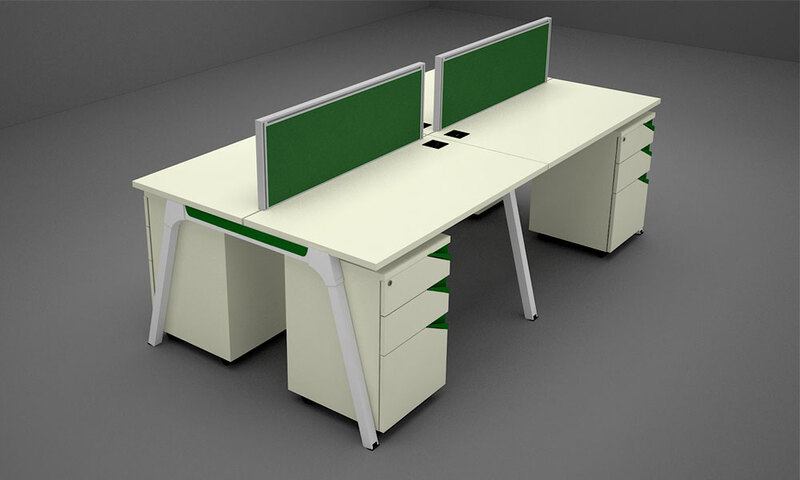 Our office furniture offering includes office workstations, office chairs, meeting tables, executive furniture, office storages, café furniture, lounge furniture. 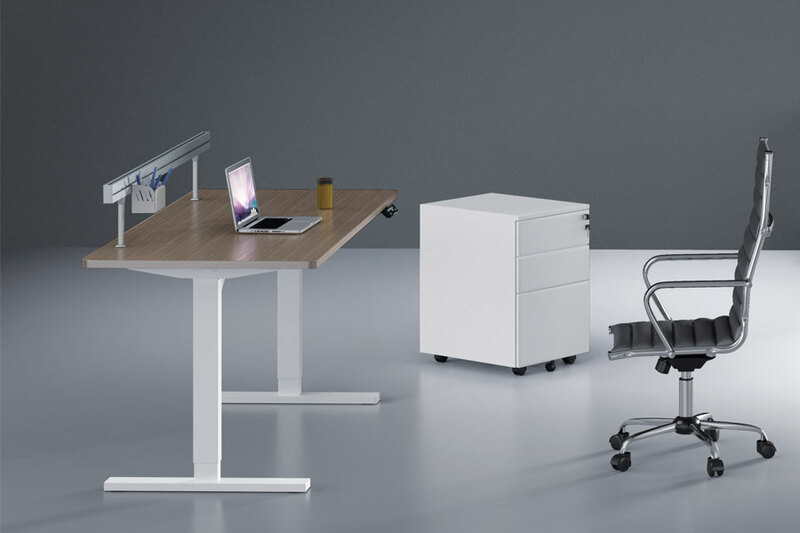 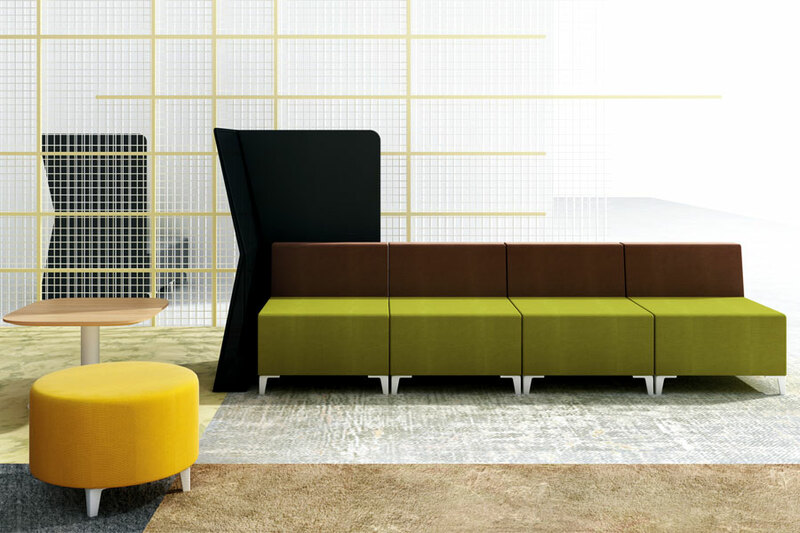 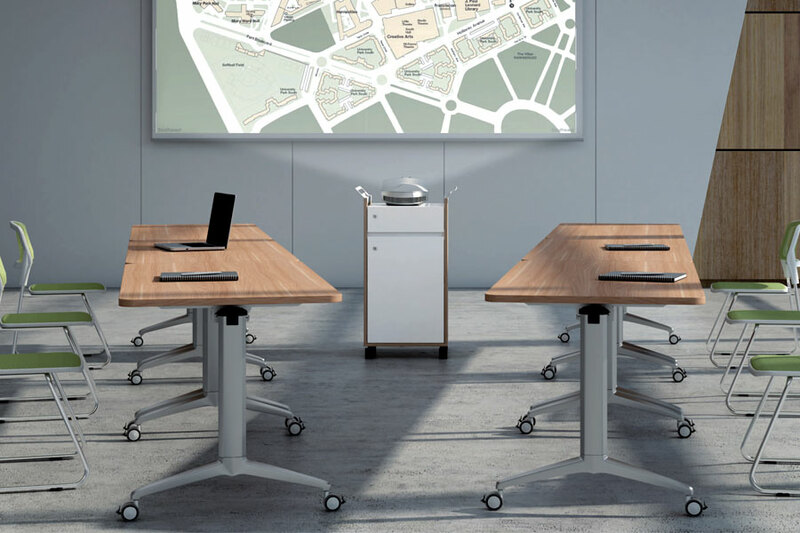 When furniture provides all of these features, employees will be able to perform their tasks more efficiently and they will be able to produce better quality work. 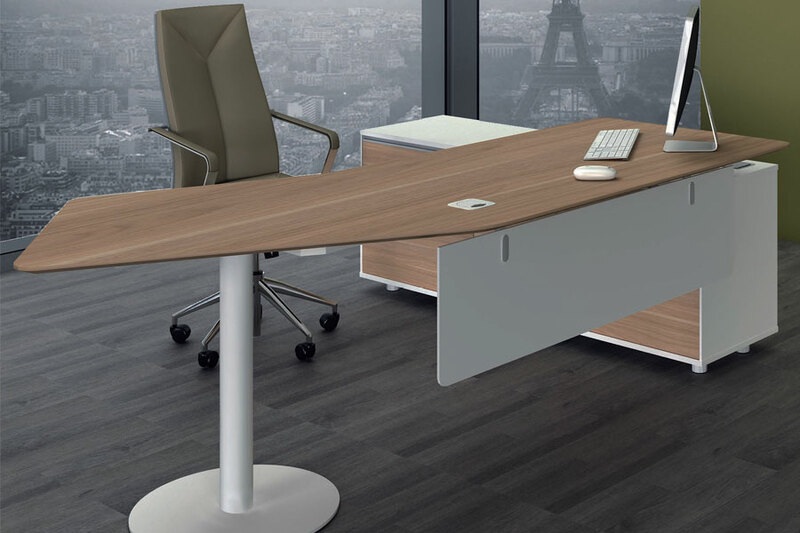 When choosing office furniture, one has to take into account the fact that employees will be sitting for the majority of the day typing, drawing or writing, so providing a comfortable chair and a spacious work desk is top most priority of the organisation. 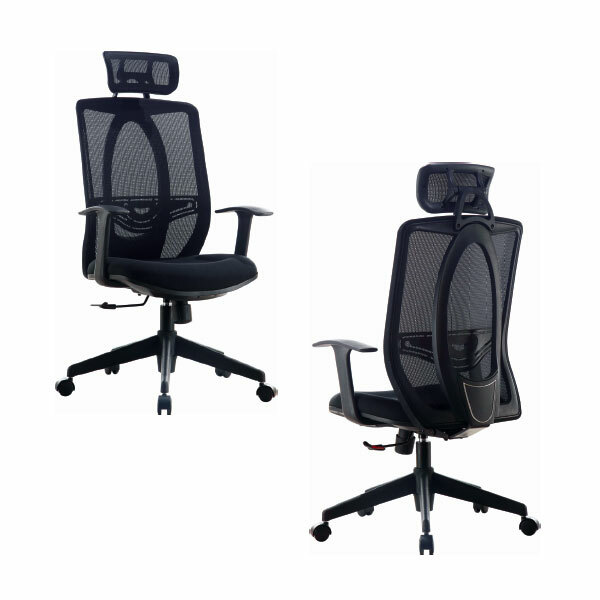 Office chairs is not just an added luxury in a workspace , its a key element to maximizing productivity because employees are sitting for eight or more hours a day, which can make backs ache, necks and legs feel stiff and make workers feel impatient or easily irritated. 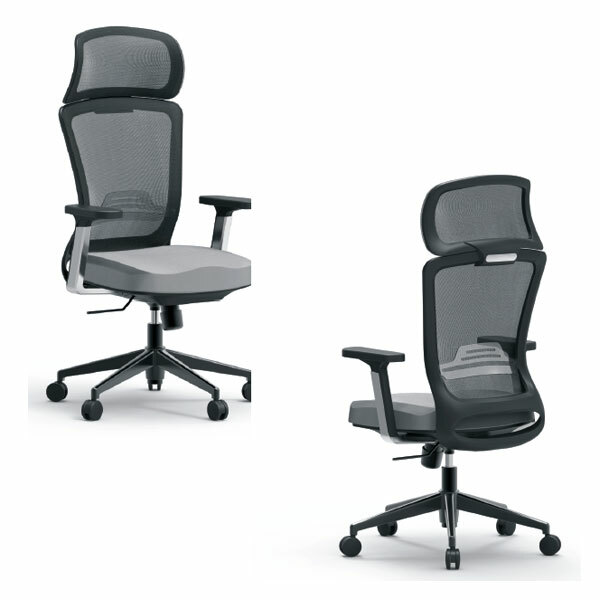 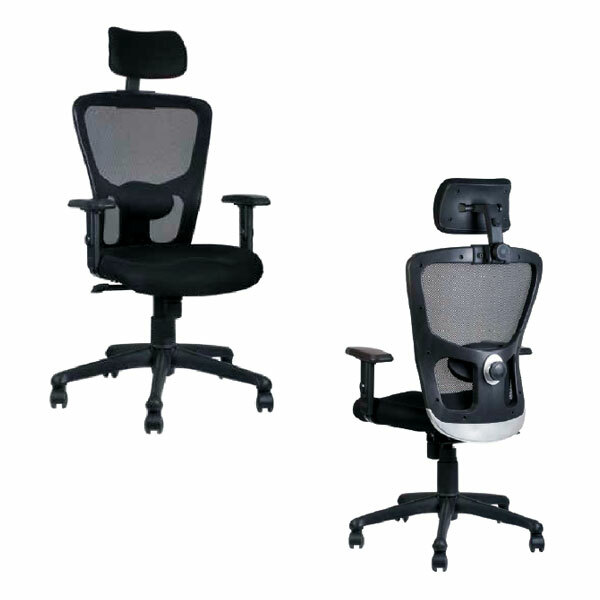 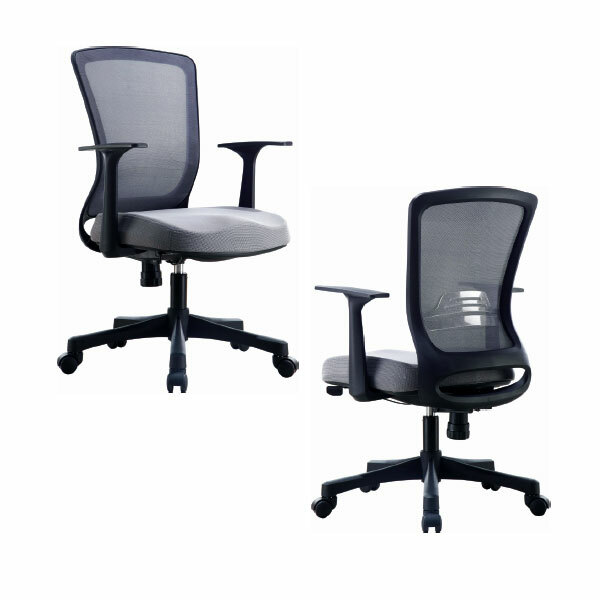 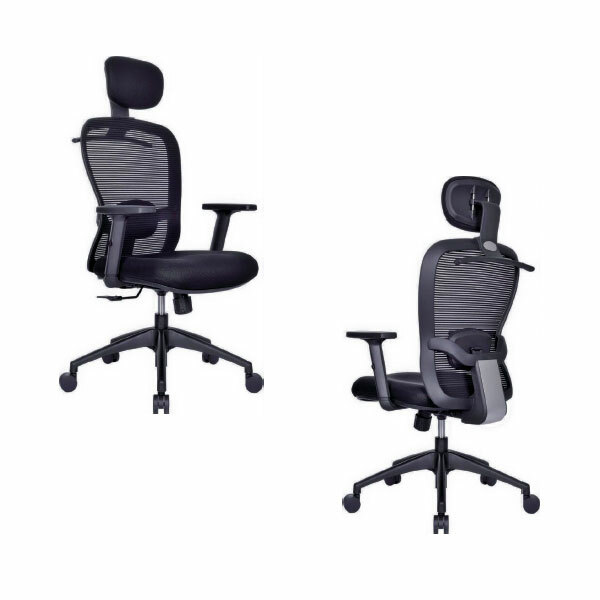 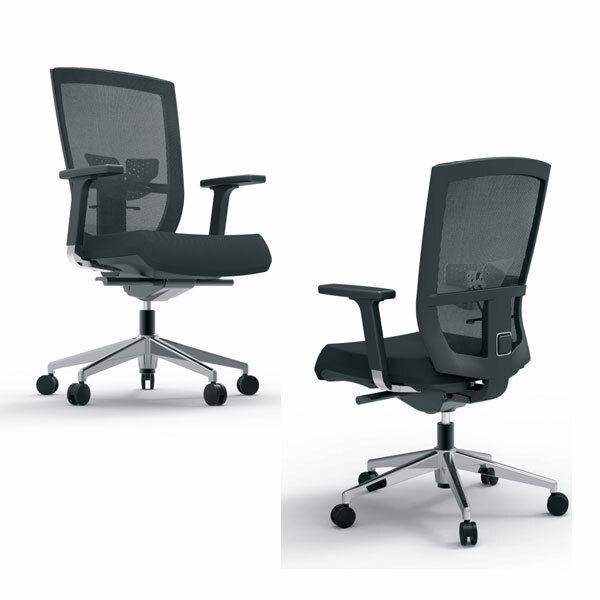 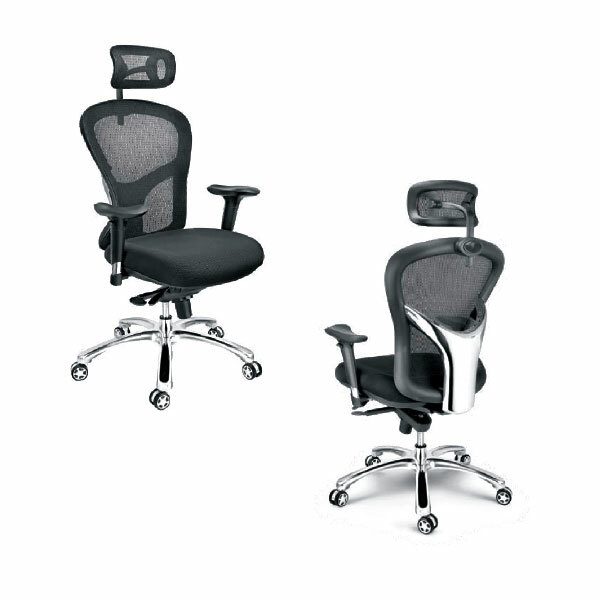 With a comfortable office chair, they will be able to be relaxed and patient and ultimately produce better productivity & efficiency at the workplace. 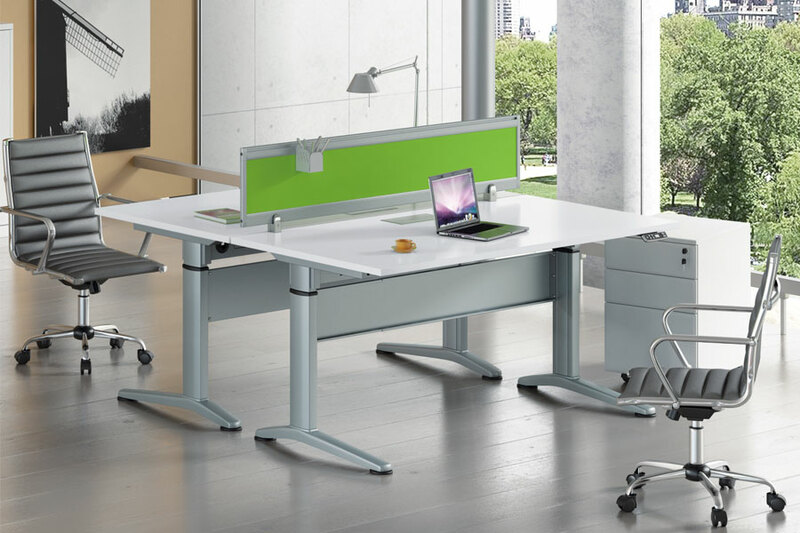 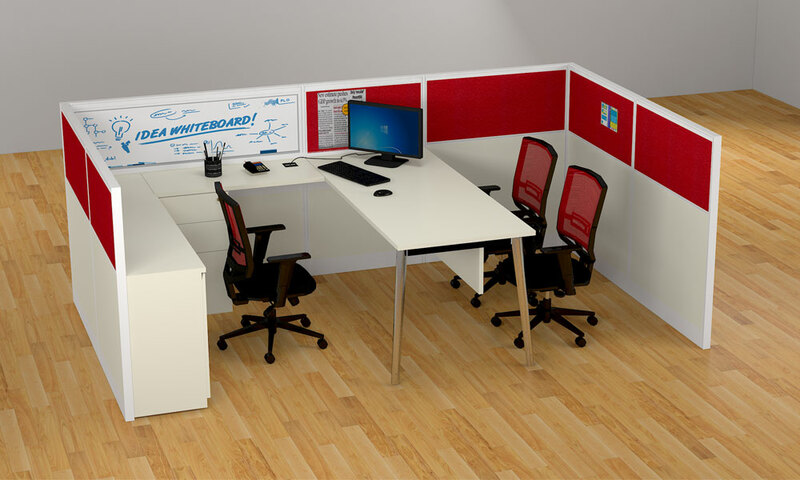 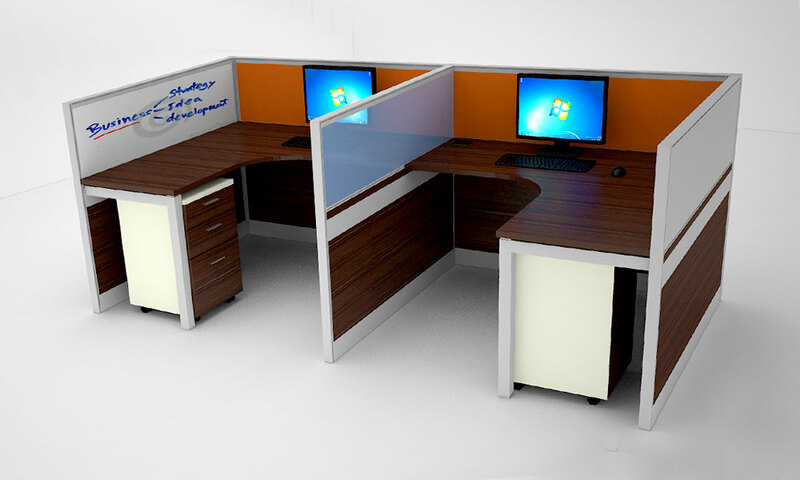 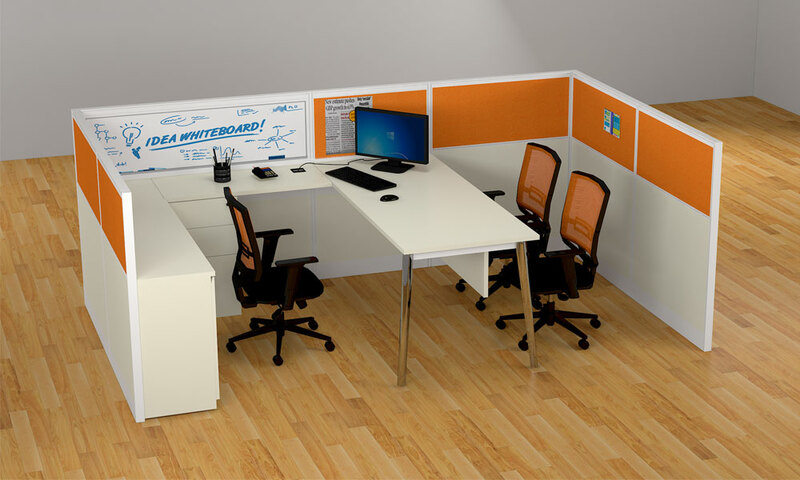 Office workstations are the second most important piece of furniture in a workspace. 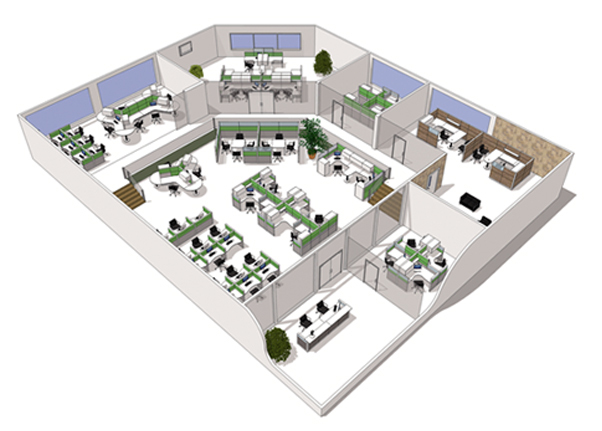 They must provide enough space for a computer system, a phone, filing cabinet, writing utensils and books, as well as, provide enough space for workers to be able to write down important information or work on a project. 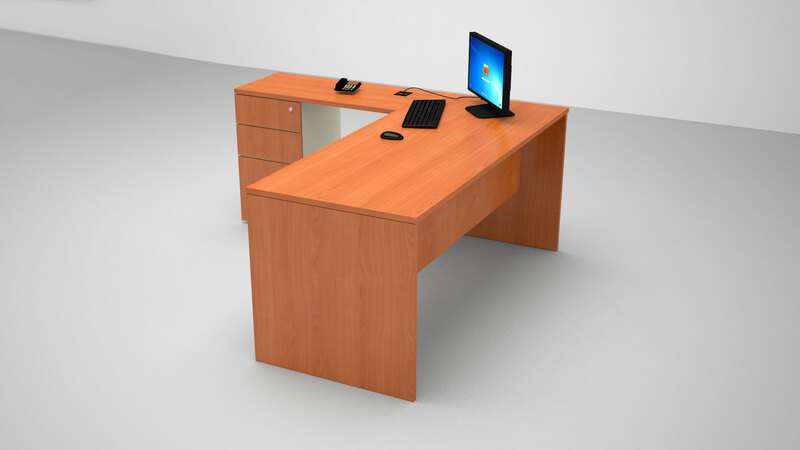 If employees don’t have the proper space their desks will be cluttered, important documents will be lost, productivity will go down and overall workers will not be efficient. 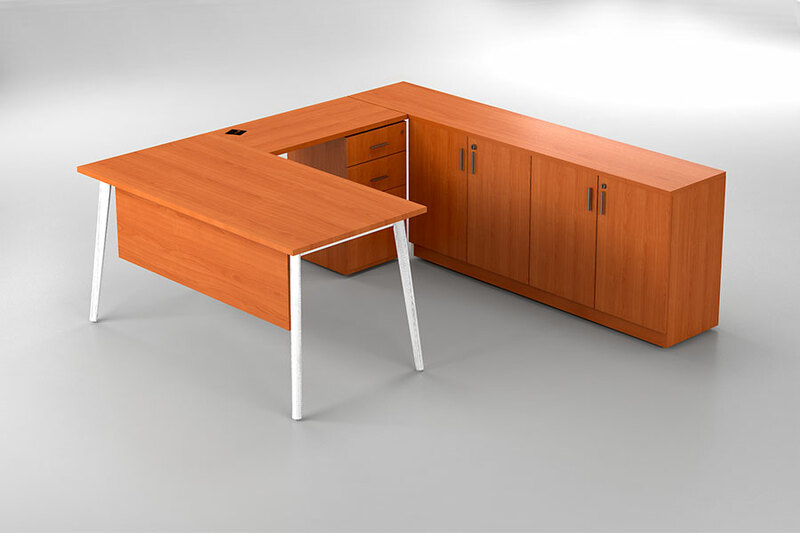 Office Storages is the third most important furniture in an office or workspace because it helps keep workers organized. 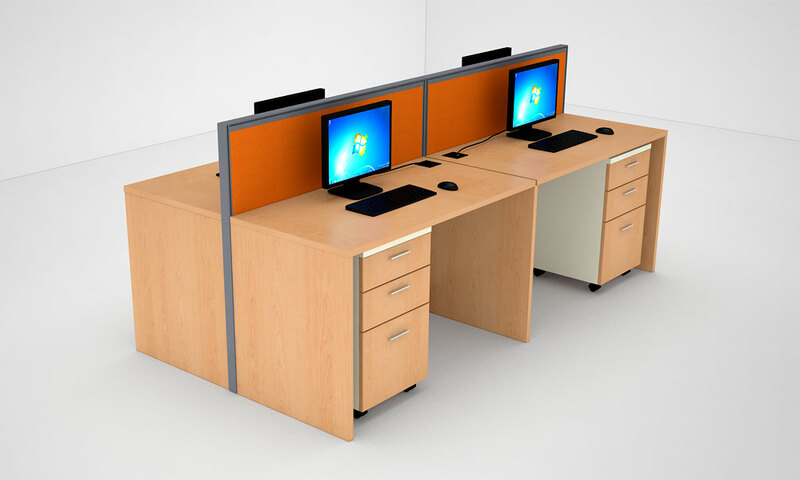 Storage equipment ranges from filing cabinets and bookcases to various types of shelving and desk drawers. 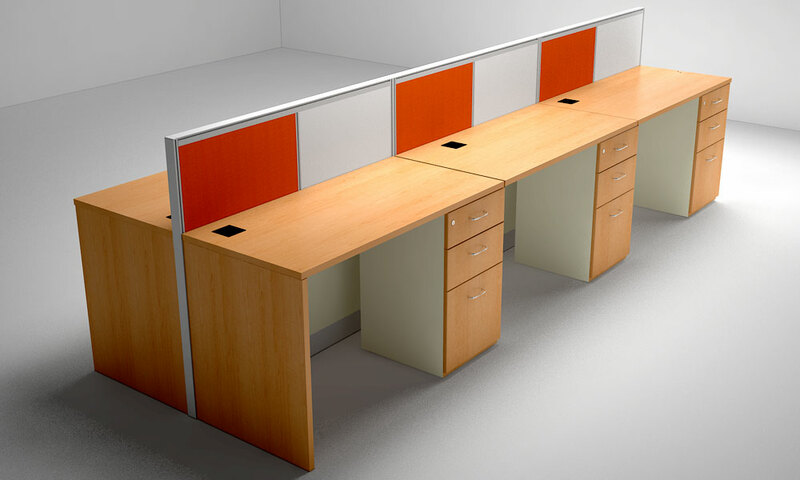 All storage types help employees stay organized and prepared throughout all tasks they will perform in the workday. 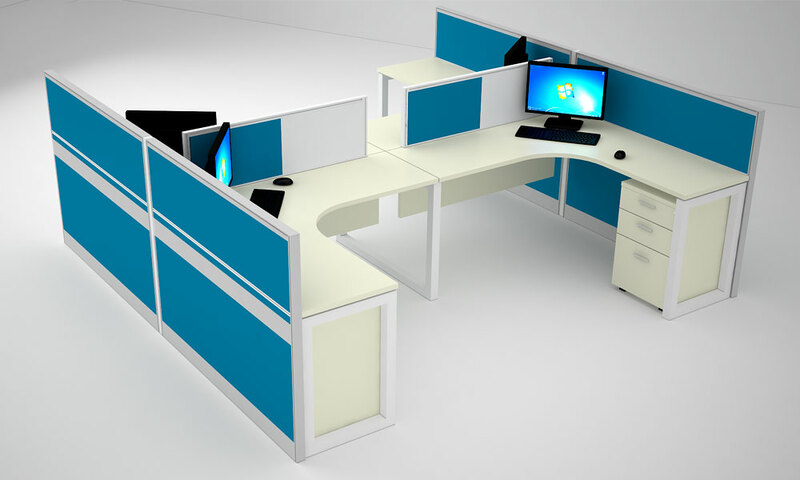 After the most important furniture is properly chosen to maximize productivity, organization and comfort of workers, it’s time to move on to colours. 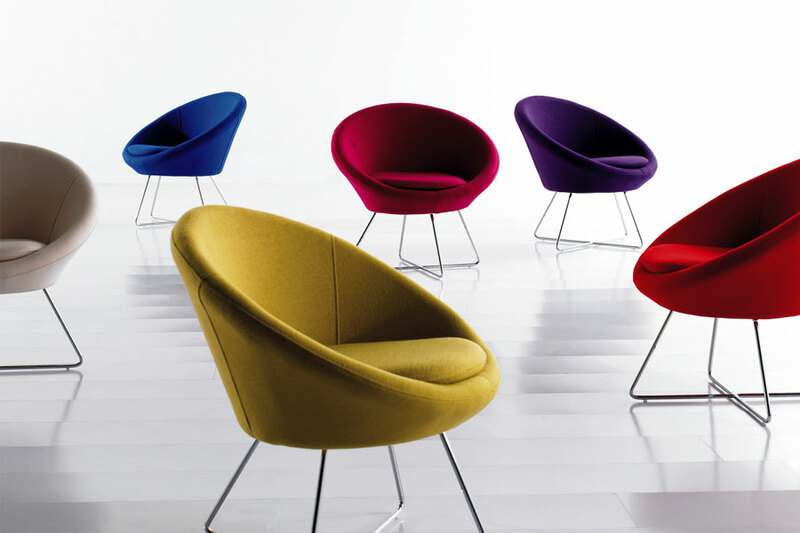 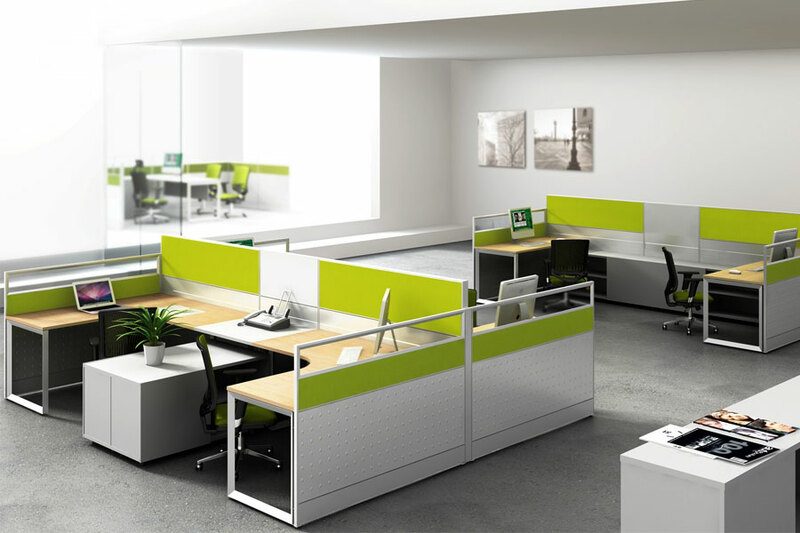 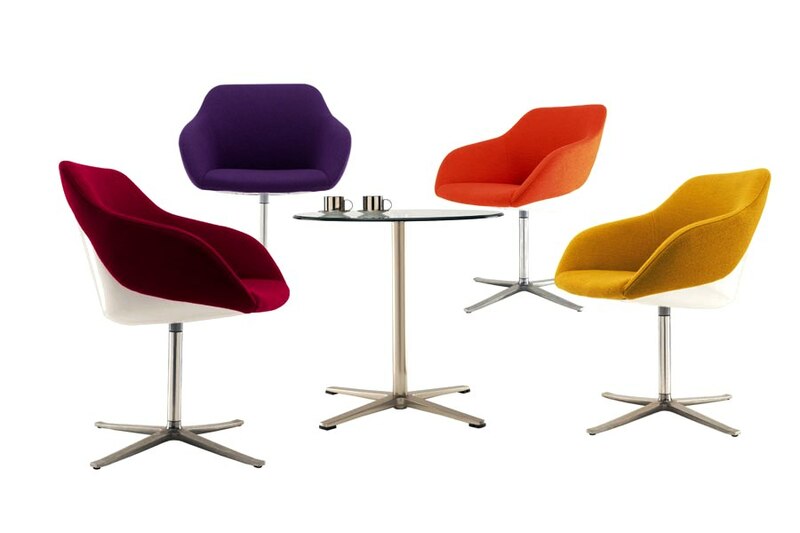 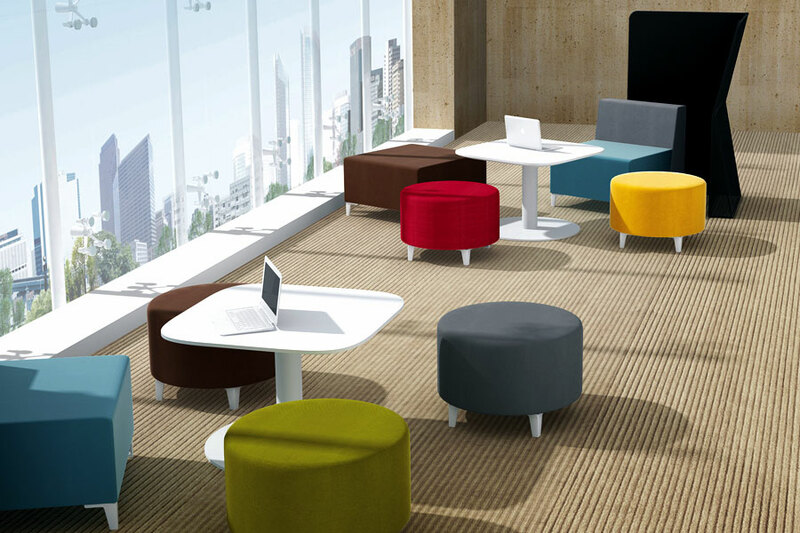 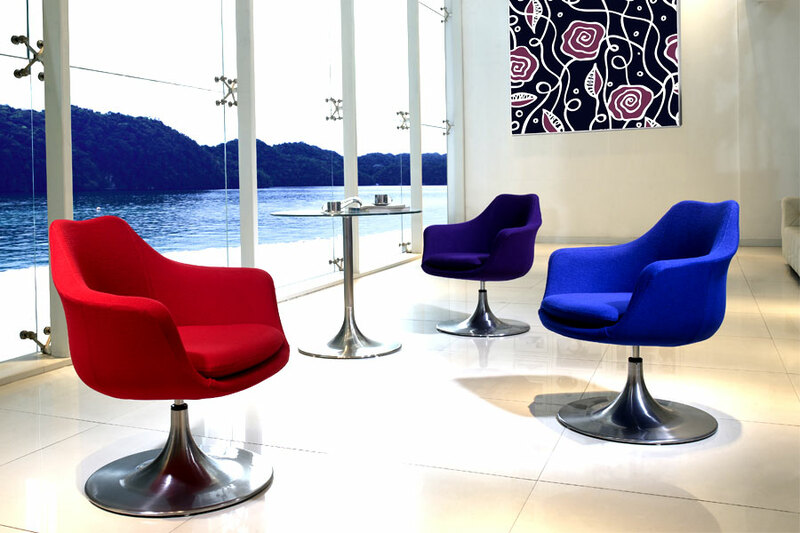 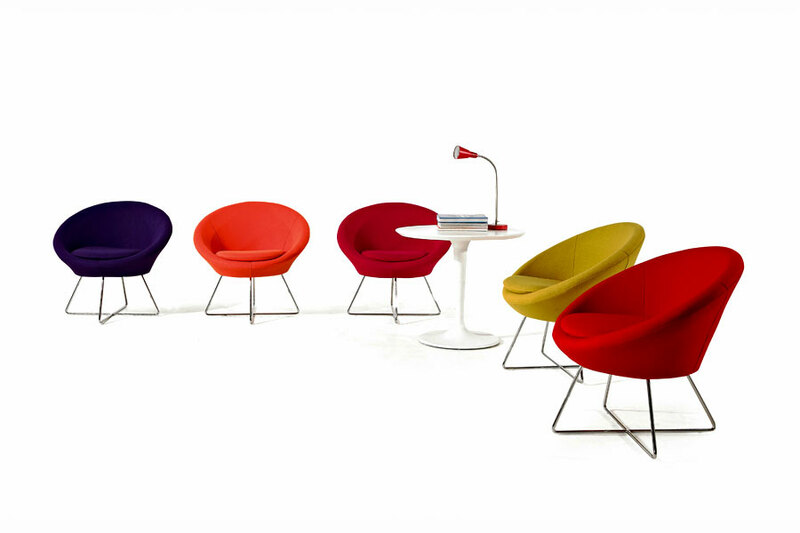 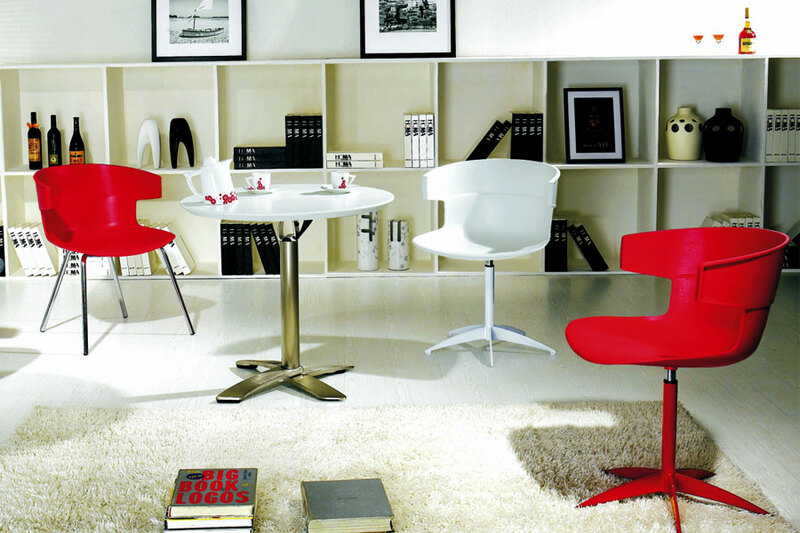 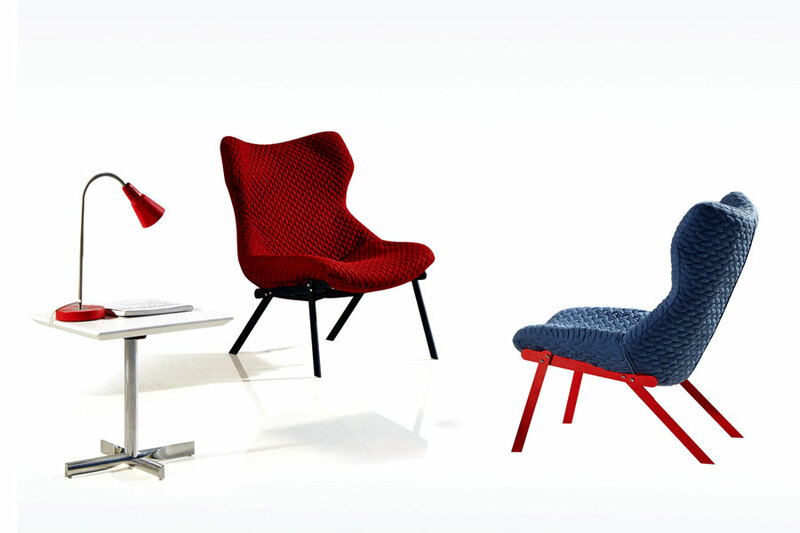 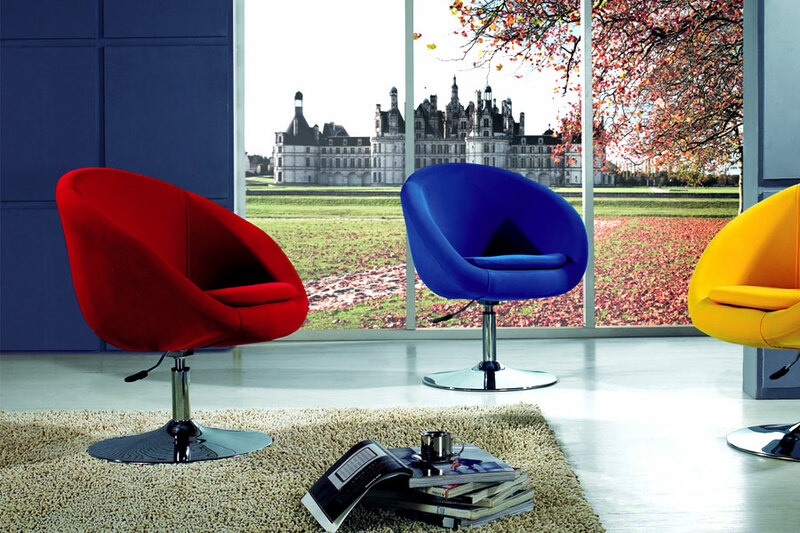 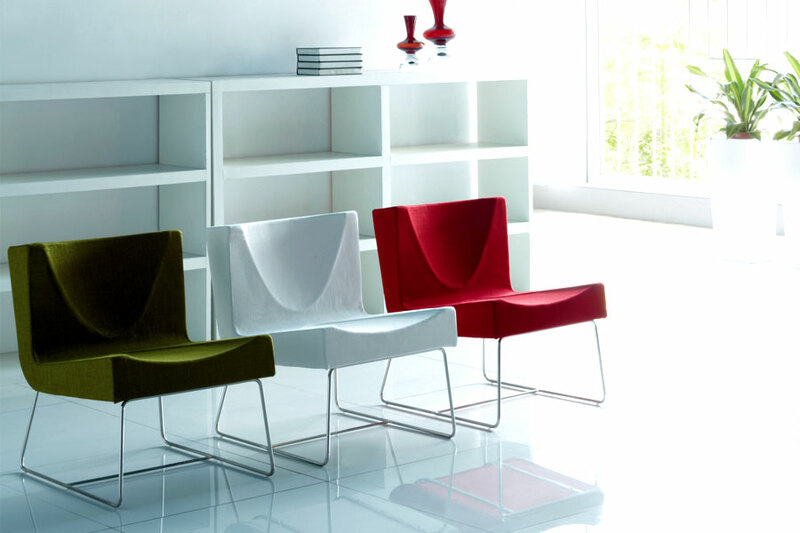 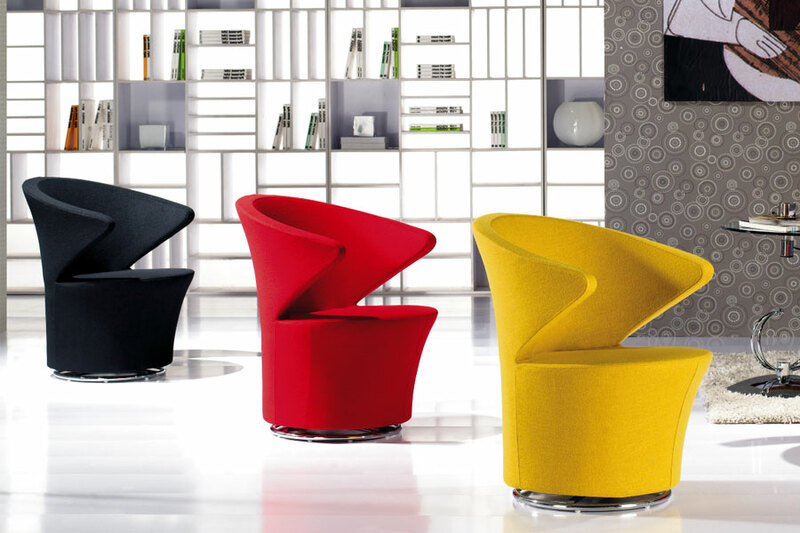 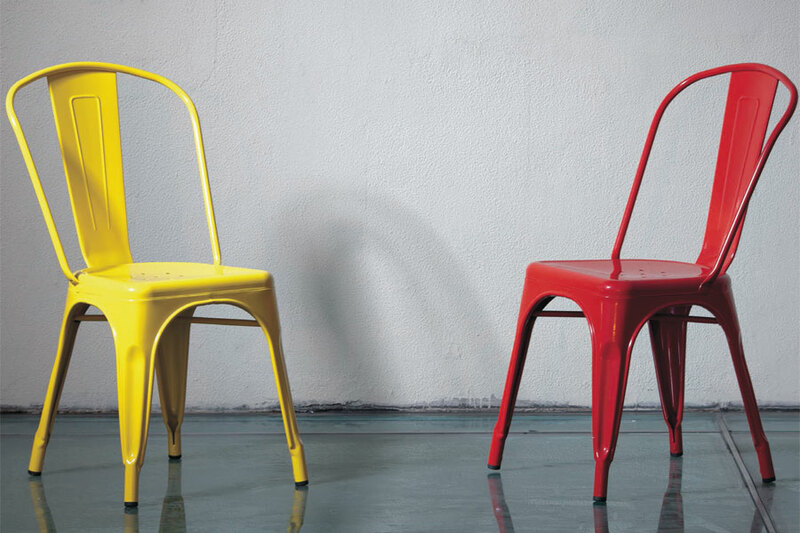 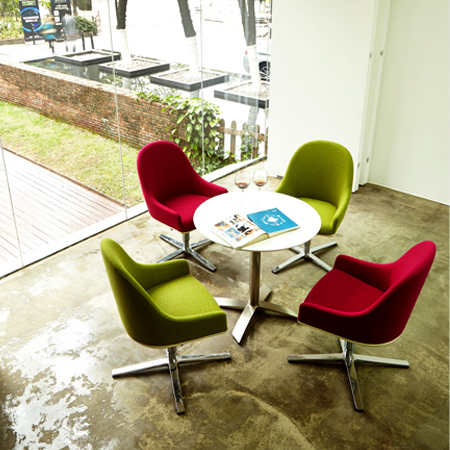 Colors help provide a positive workspace to workers and help to keep their moods positive throughout the entire day. 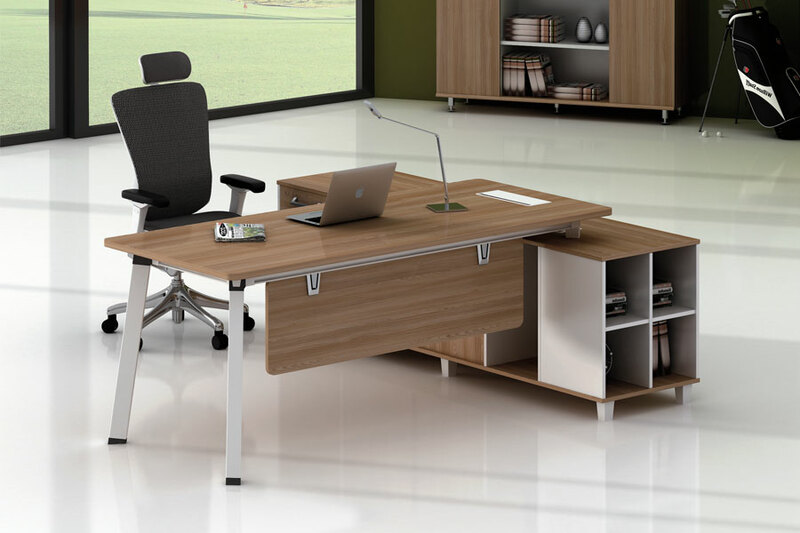 This will also help motivate workers to continue with tasks longer before taking a break. 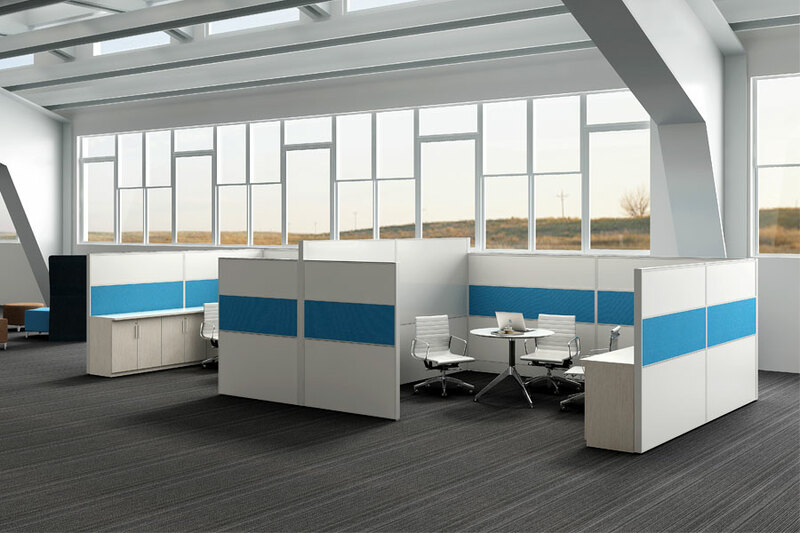 Colors also give an aesthetic appeal to guests or business partners, so people will feel more comfortable and positive while visiting an office.